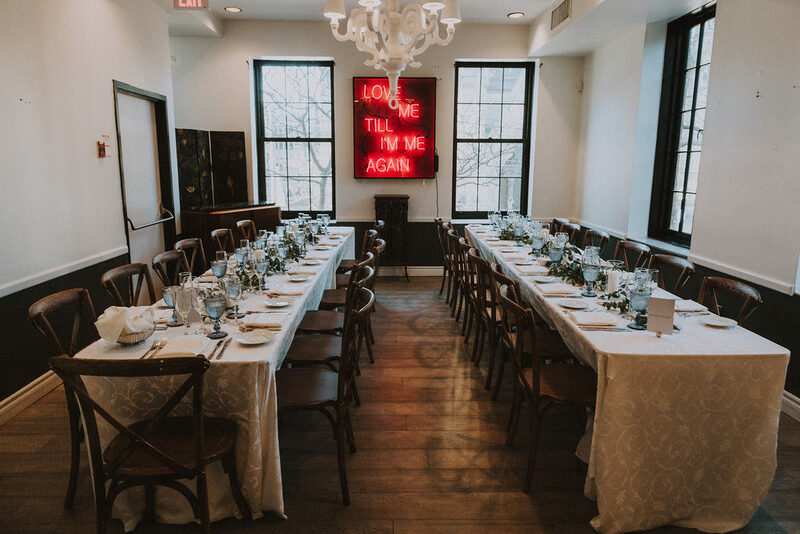 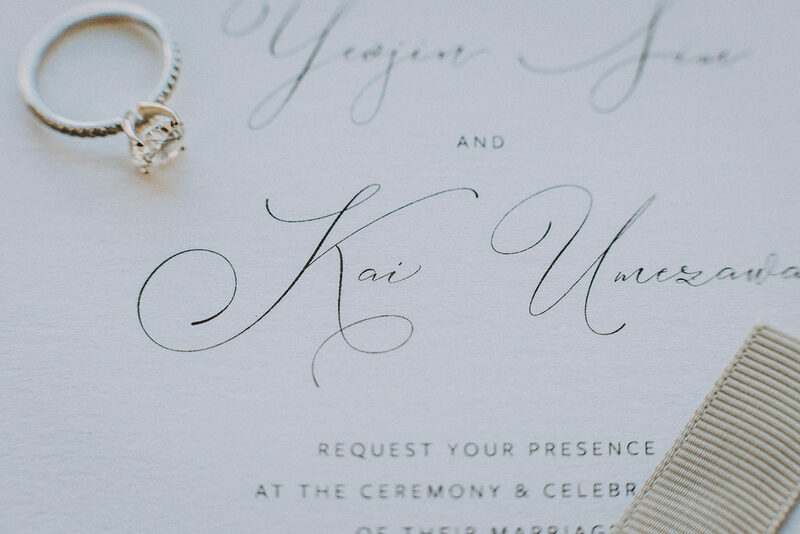 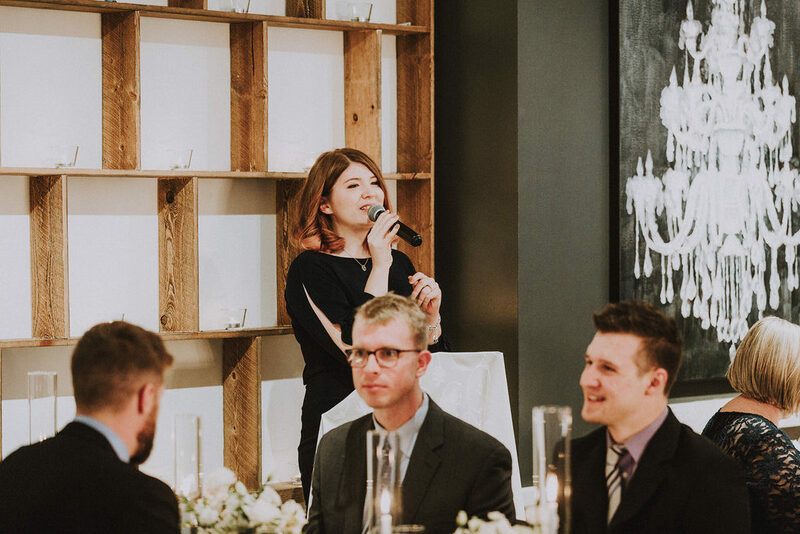 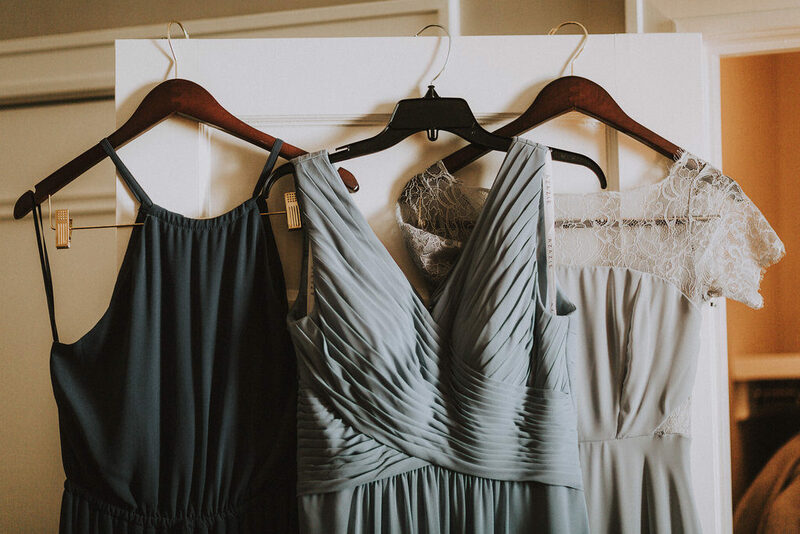 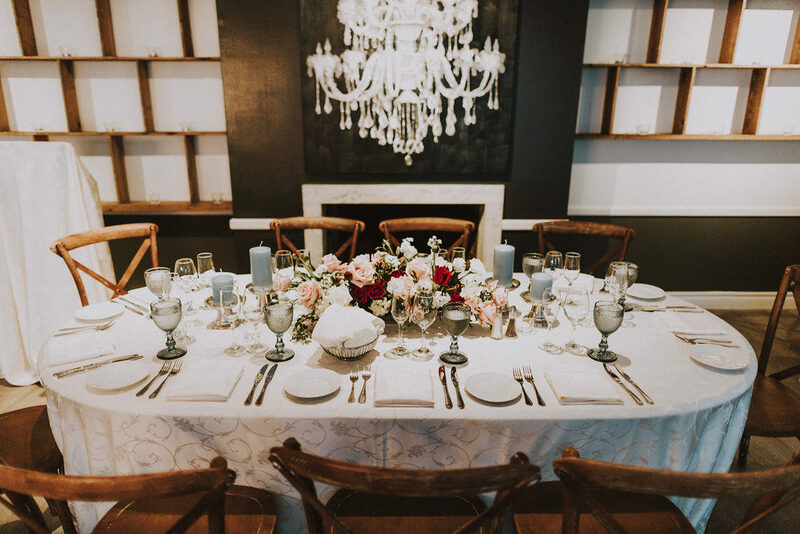 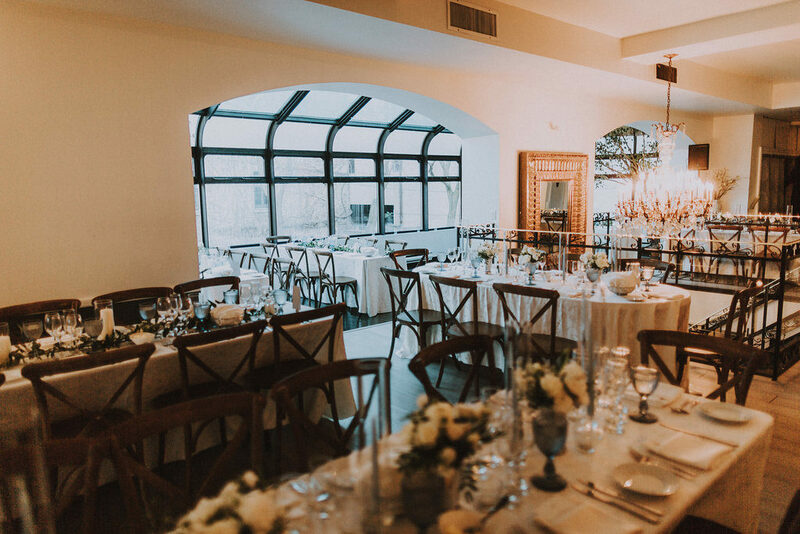 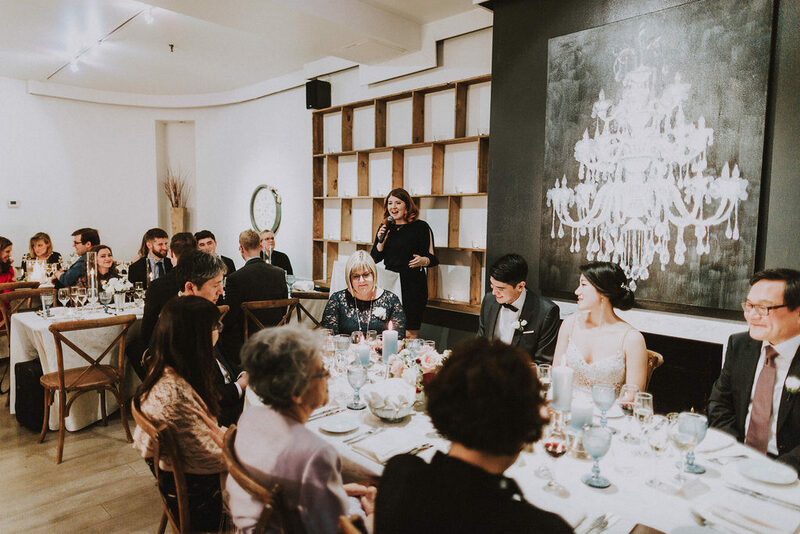 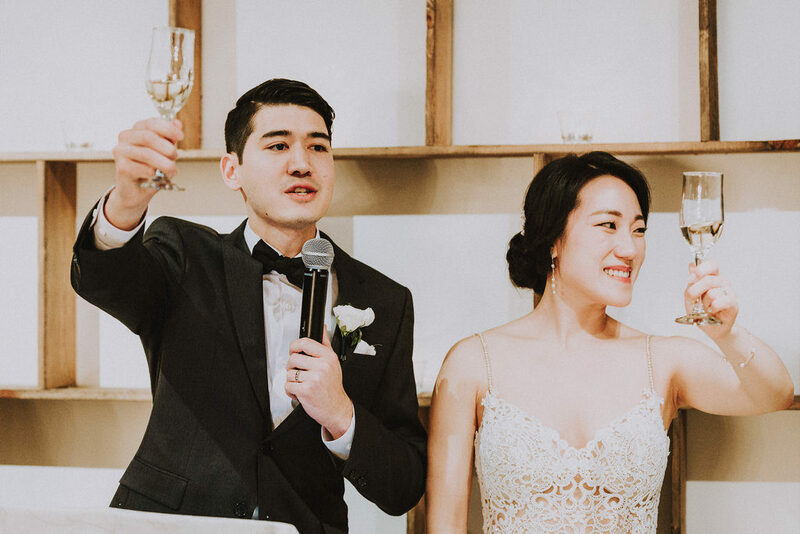 Emily & Kai envisioned a beautiful, intimate dinner party atmosphere for their wedding reception. 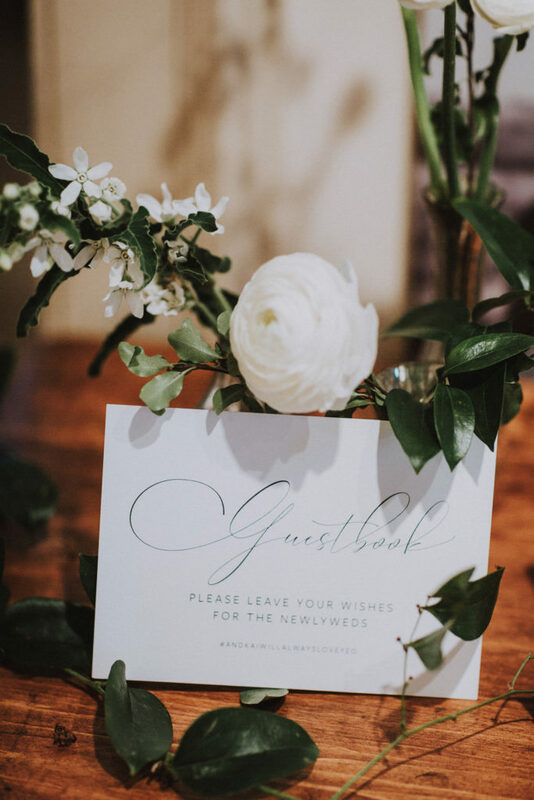 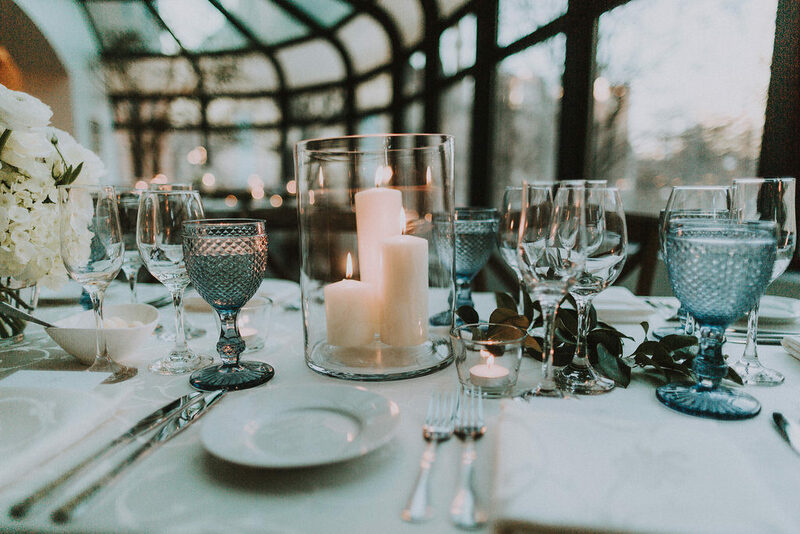 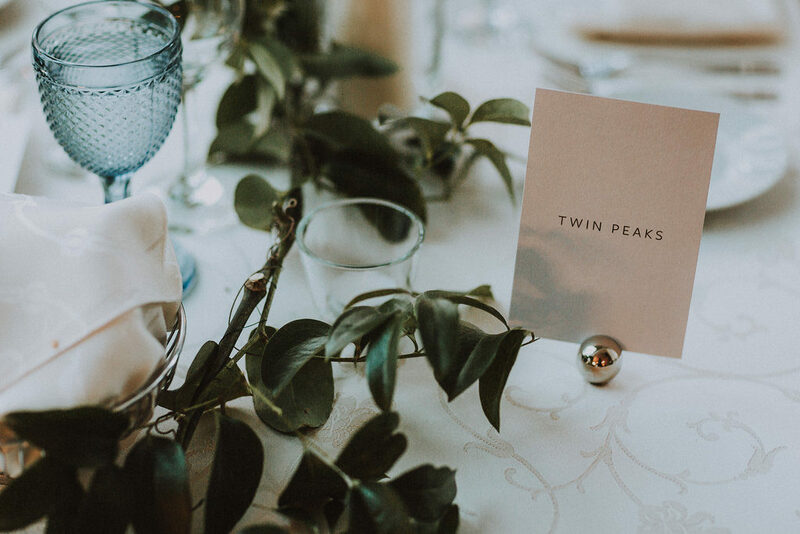 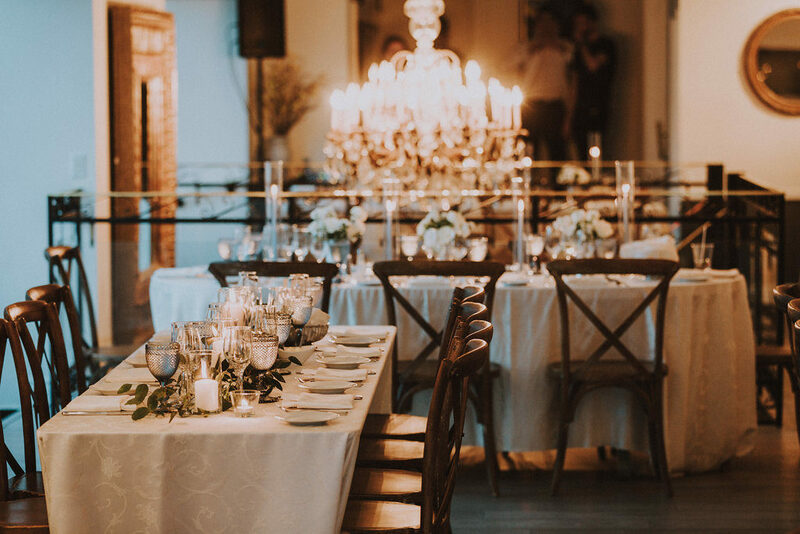 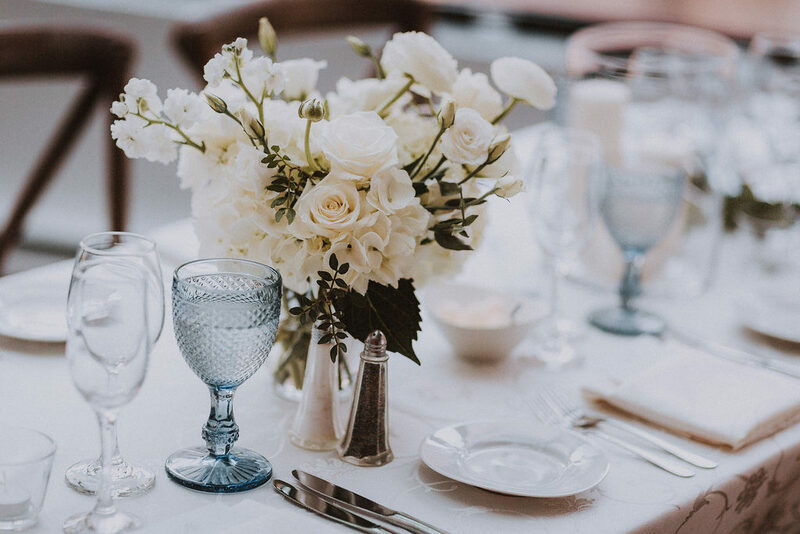 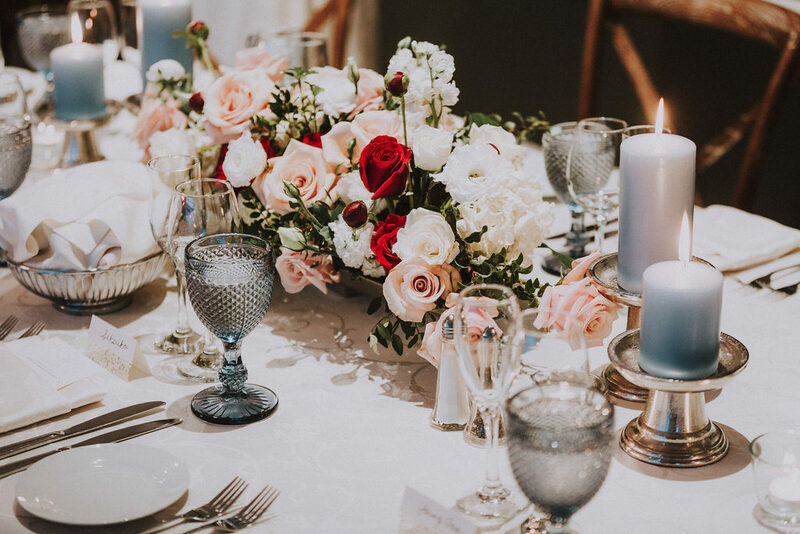 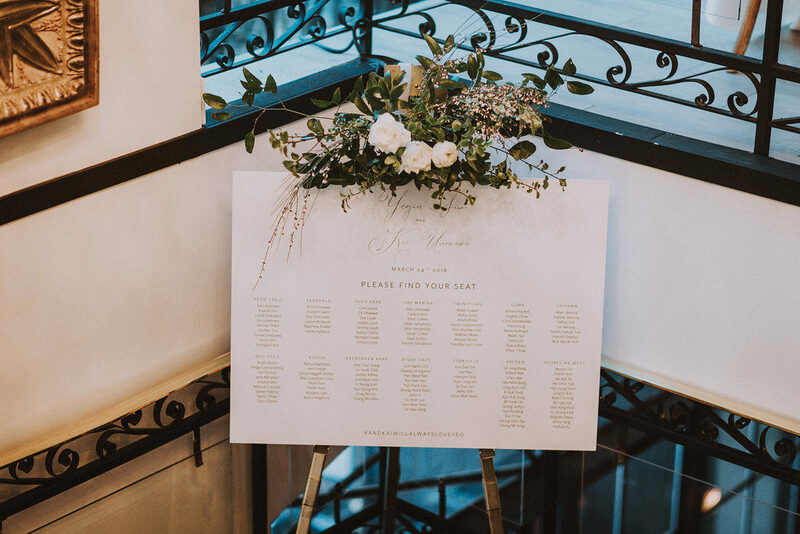 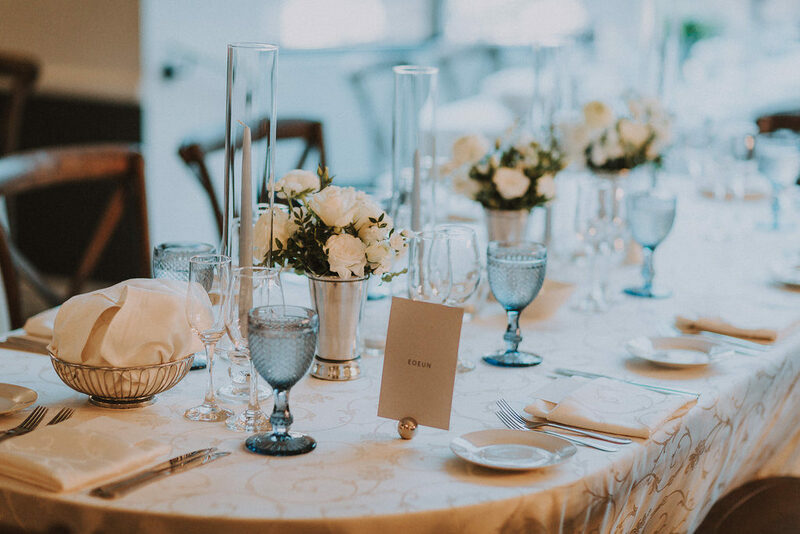 With this in mind, with the help of Cedar & Stone, we created three different guest table designs, each slightly unique but cohesive – all utilizing white florals, greenery, and lots of candlelight. 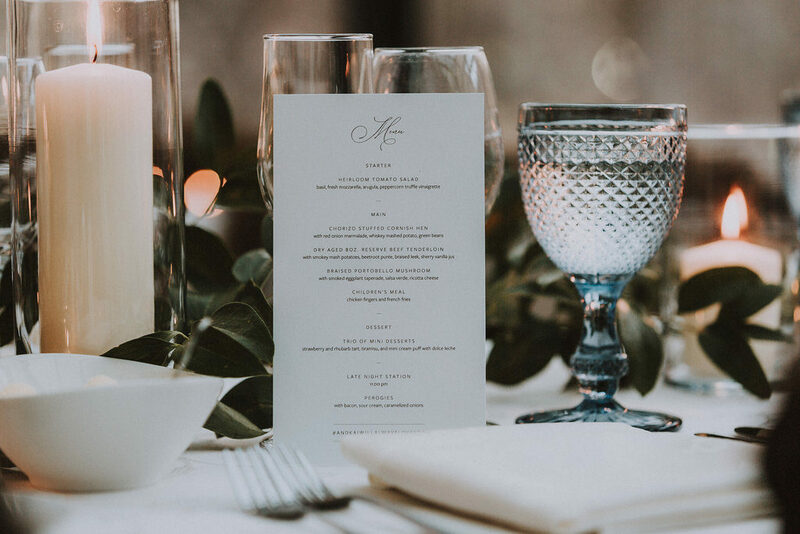 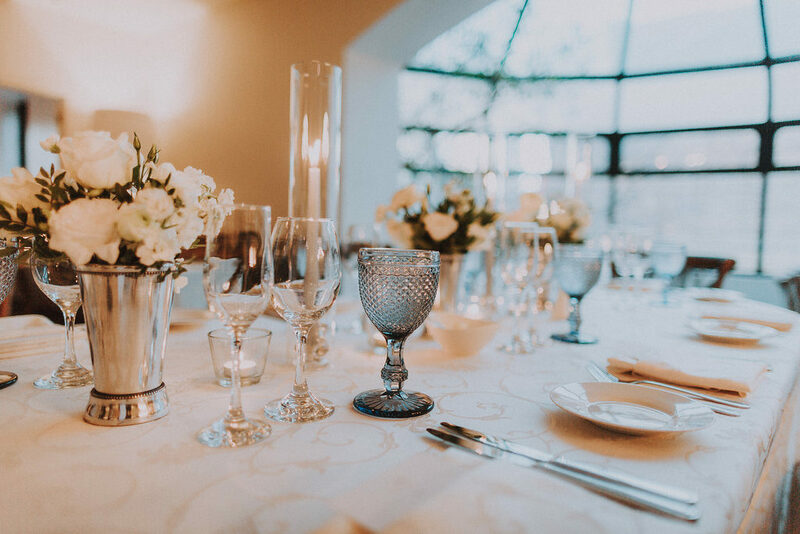 To set the mood of Spring being on the horizon, we incorporated a hint of blue through the pretty hobnail water goblets from Plate Occasions. 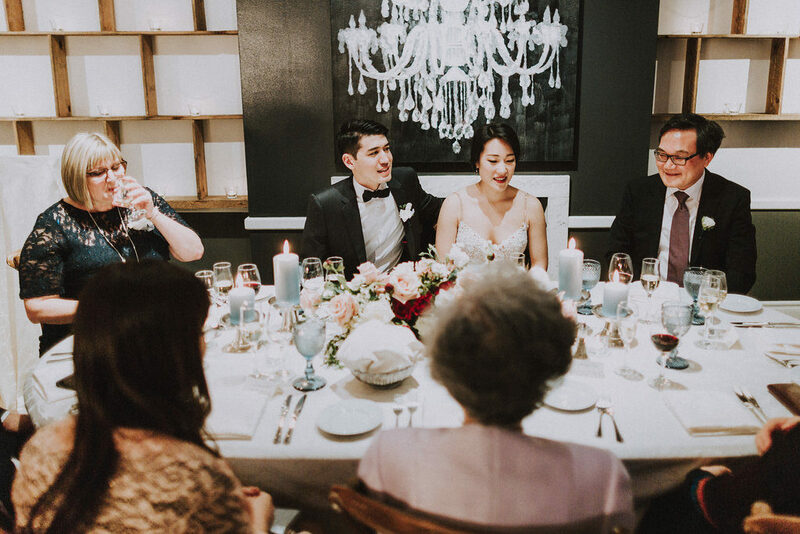 For the head table, reserved for family, we added a subtle pop of deep red to compliment the bride’s bouquet. 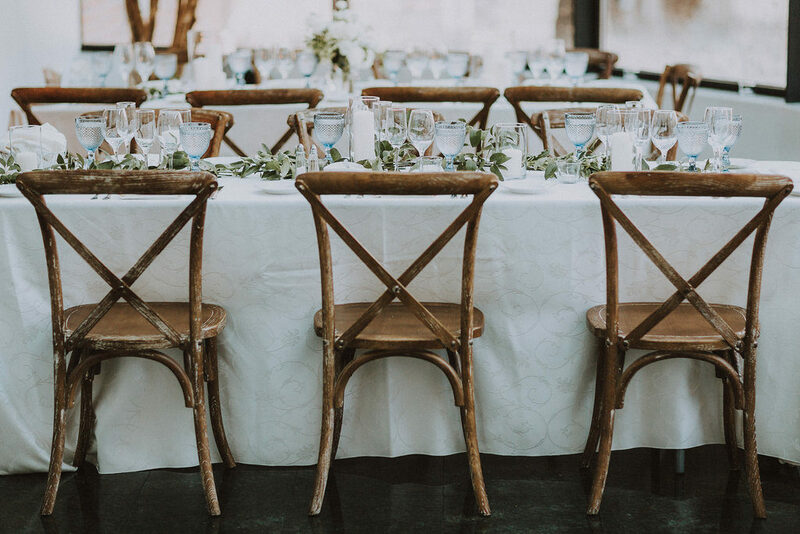 Wood cross back chairs tied the look of laid back elegance together. 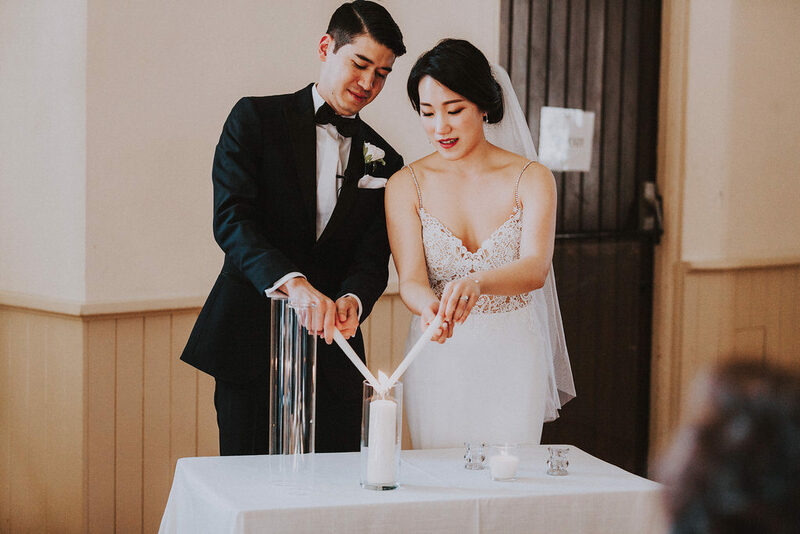 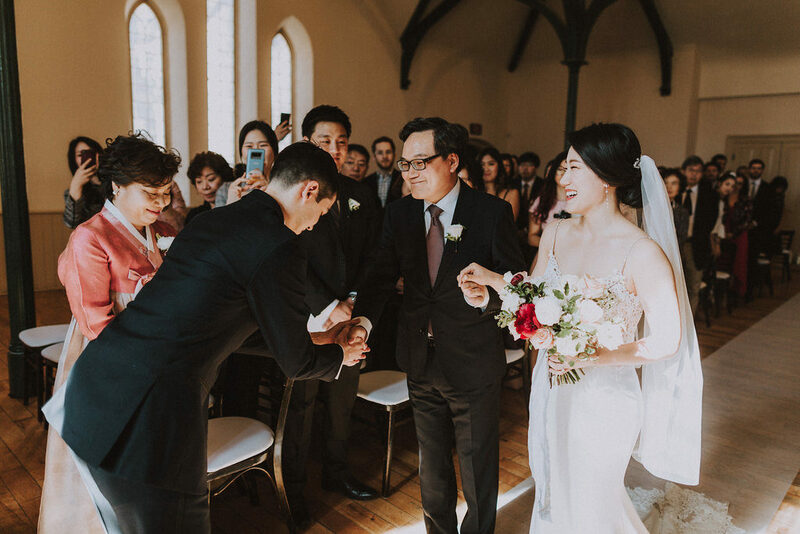 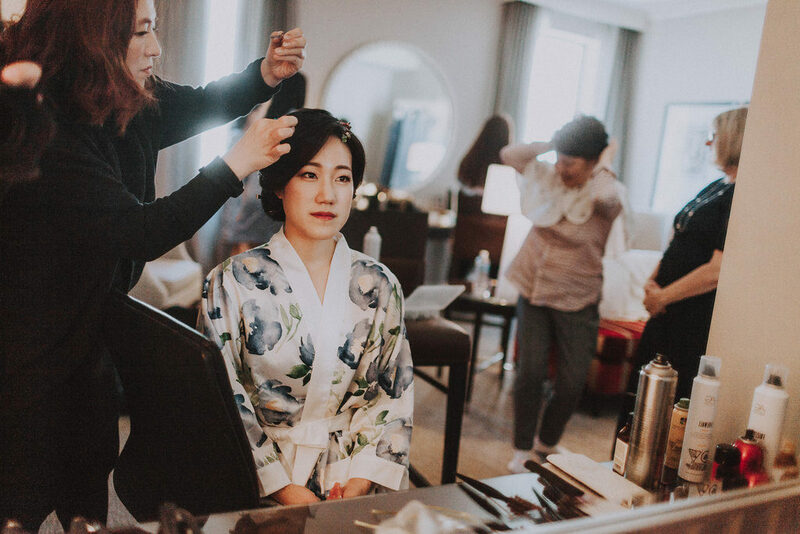 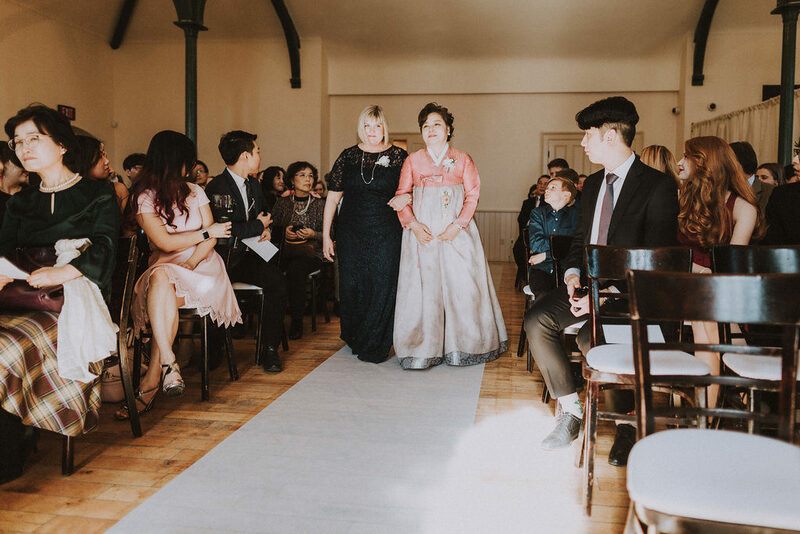 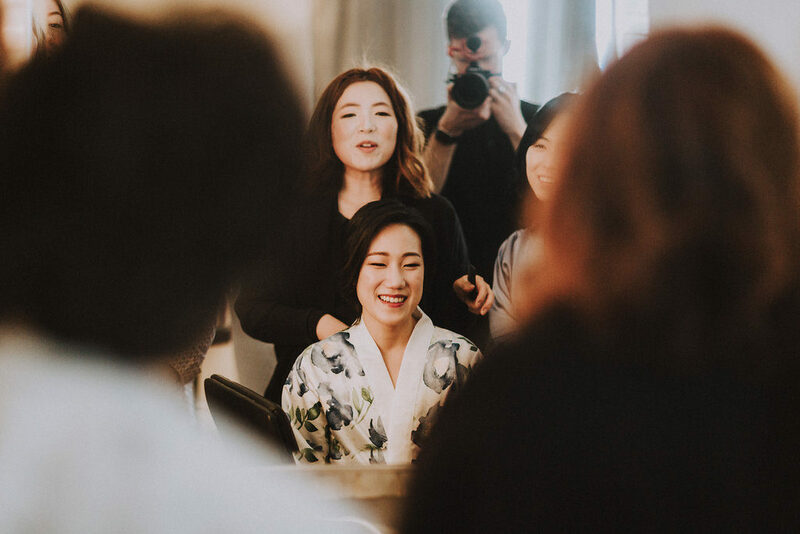 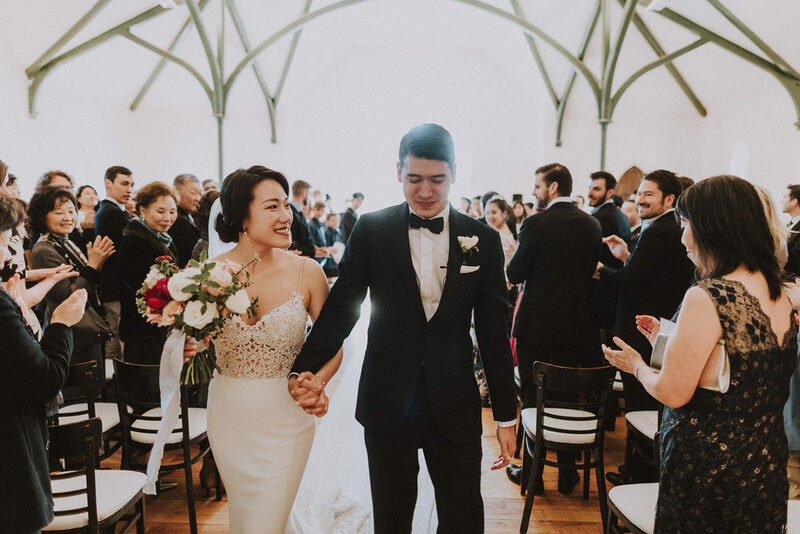 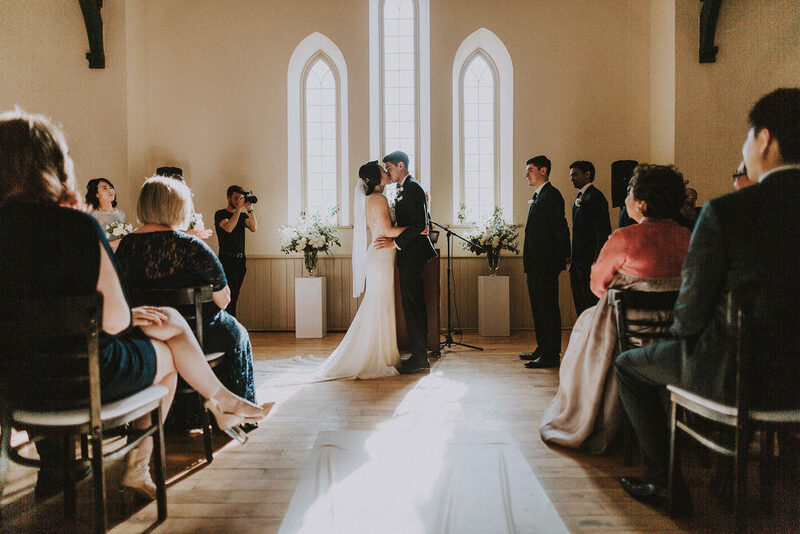 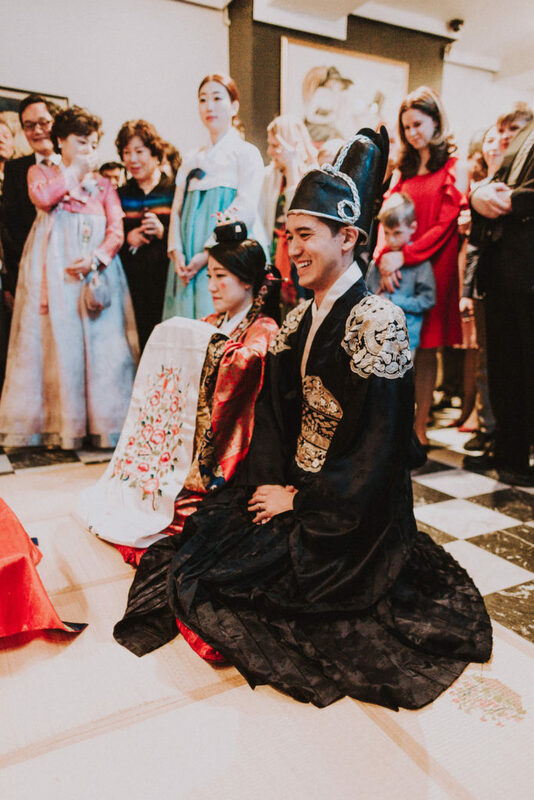 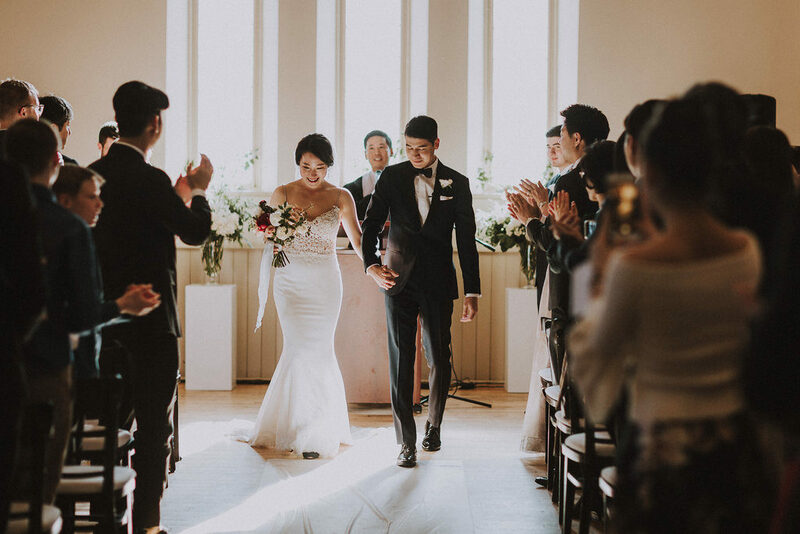 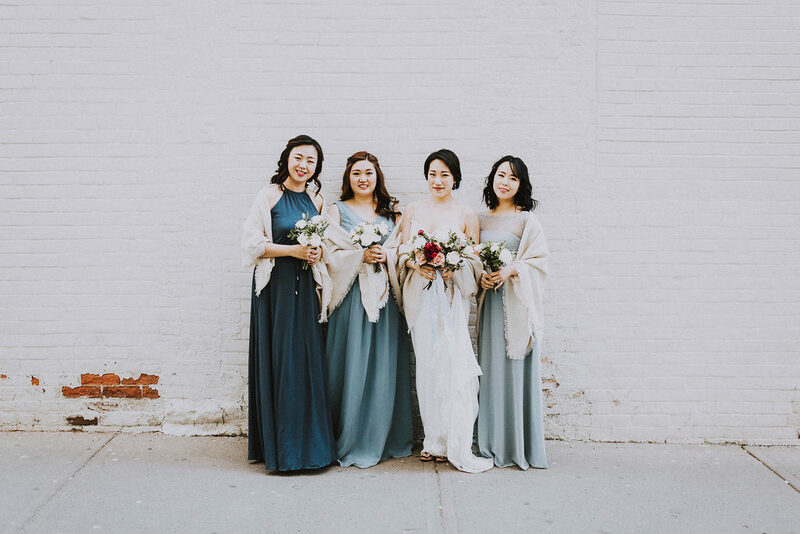 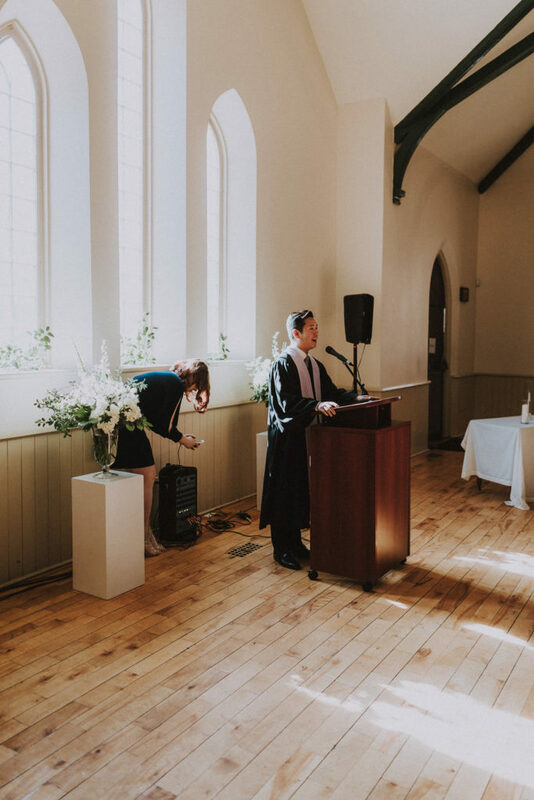 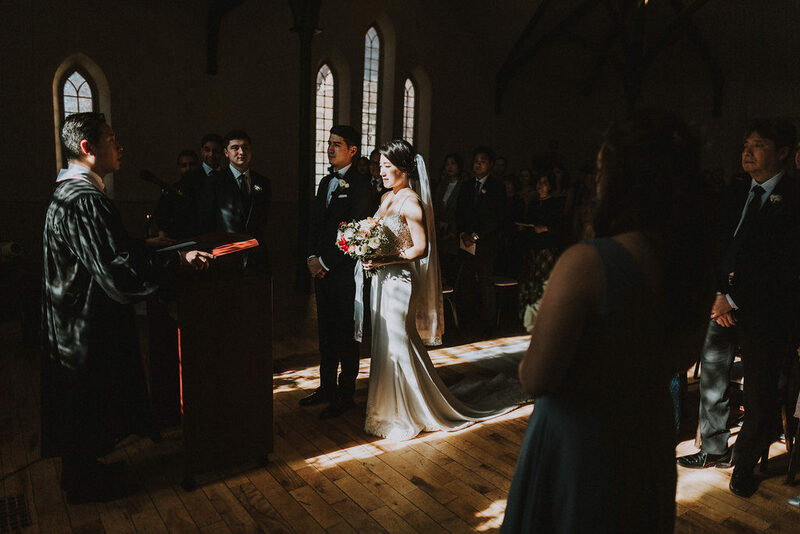 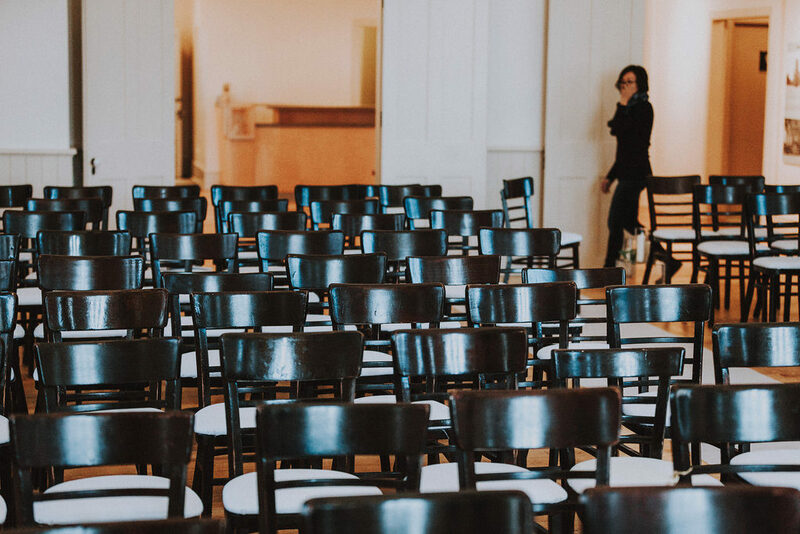 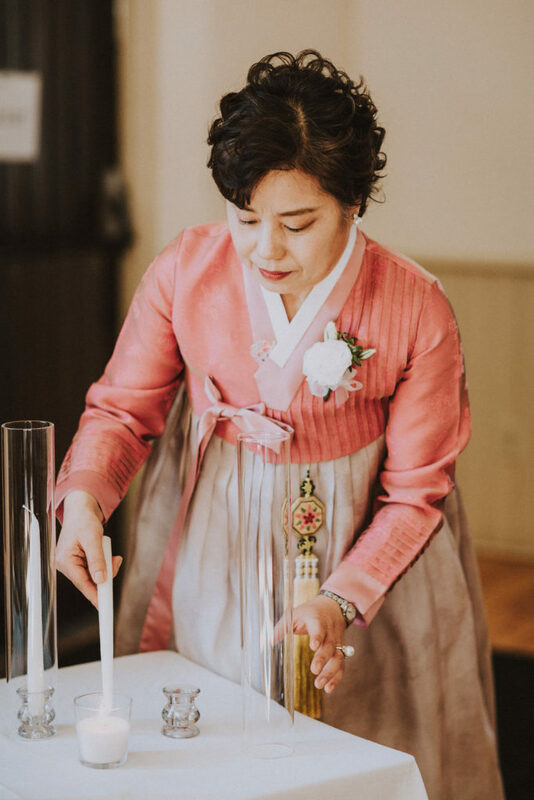 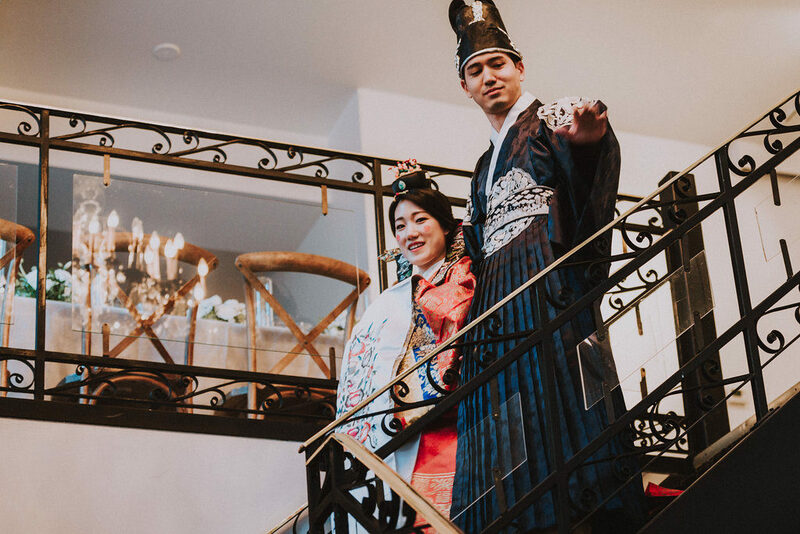 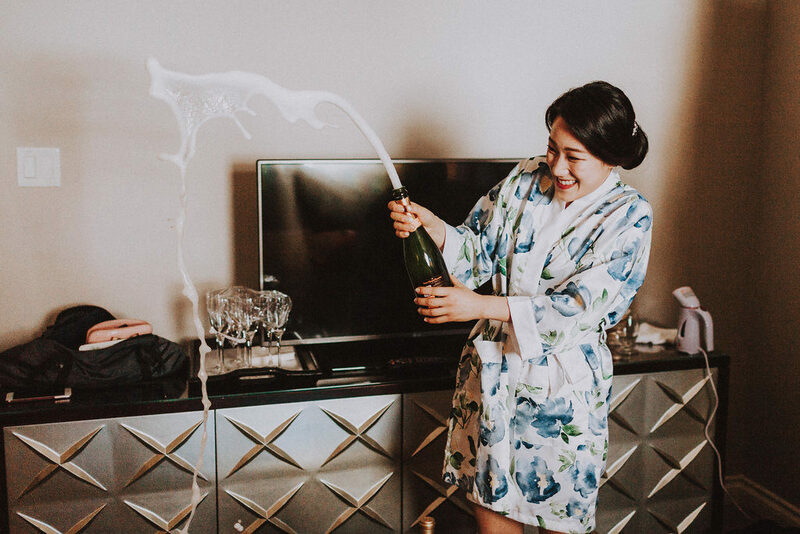 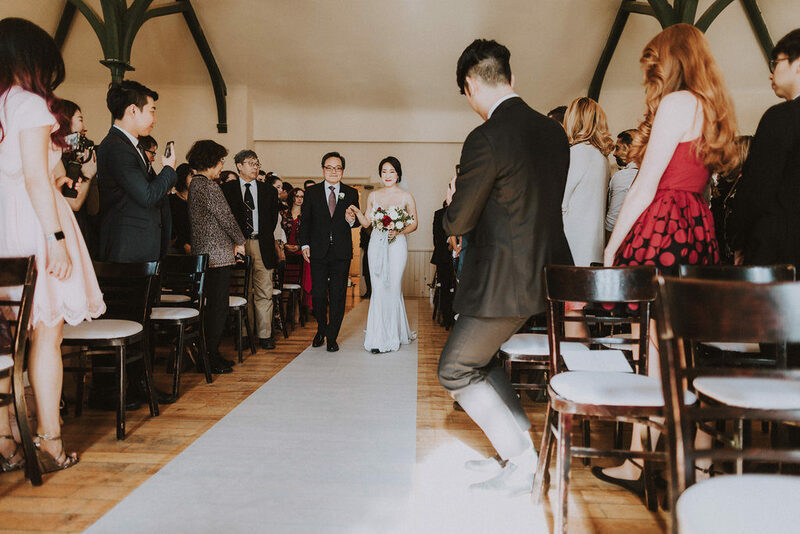 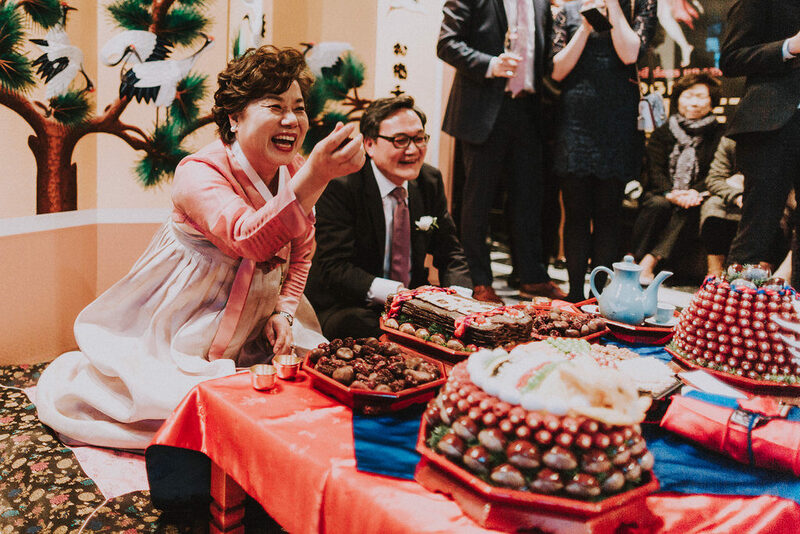 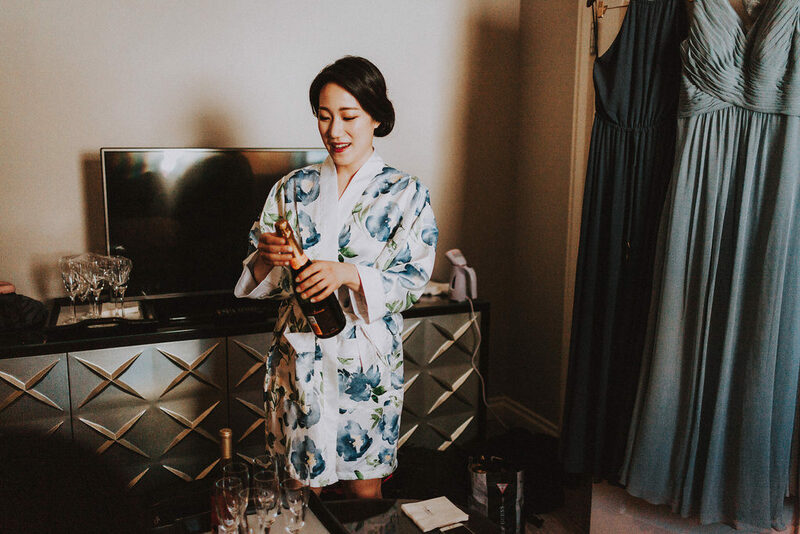 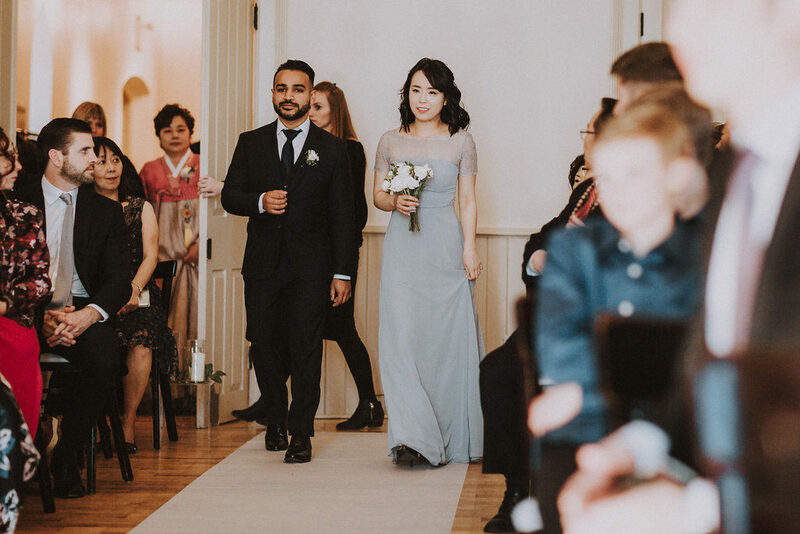 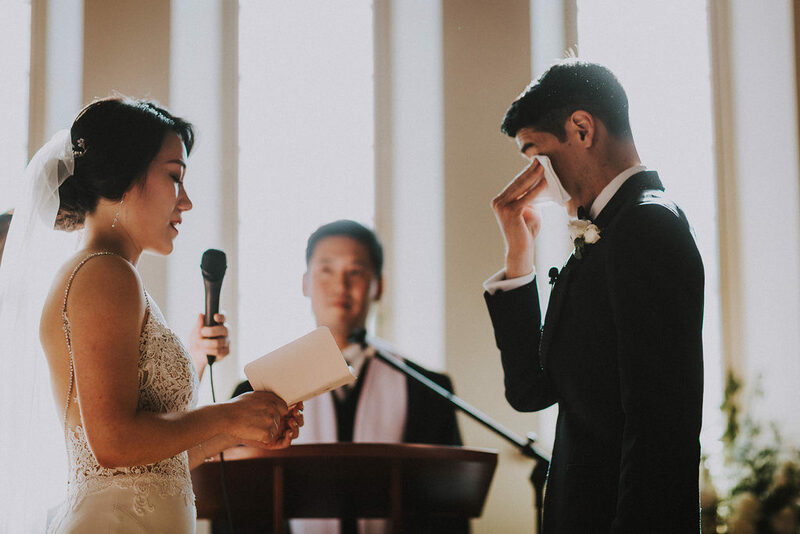 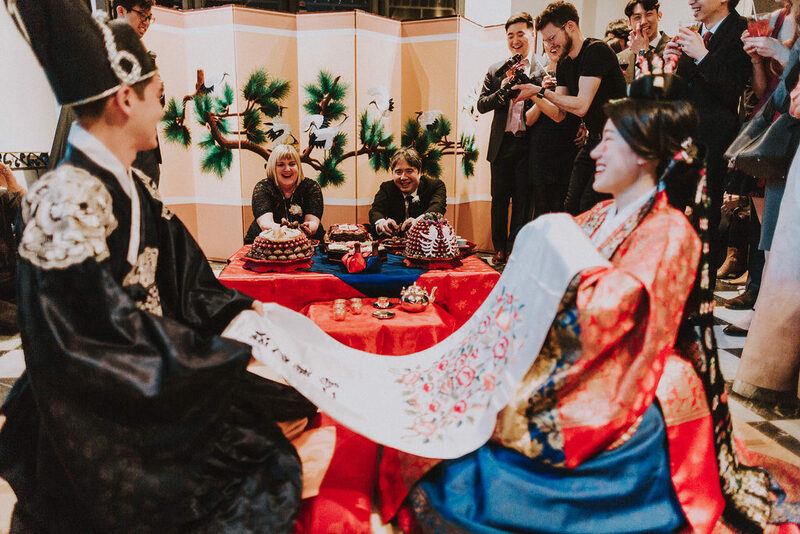 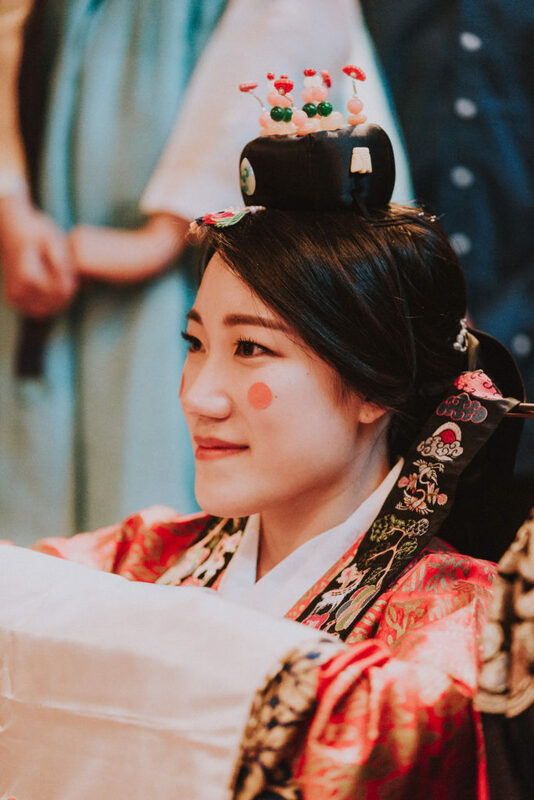 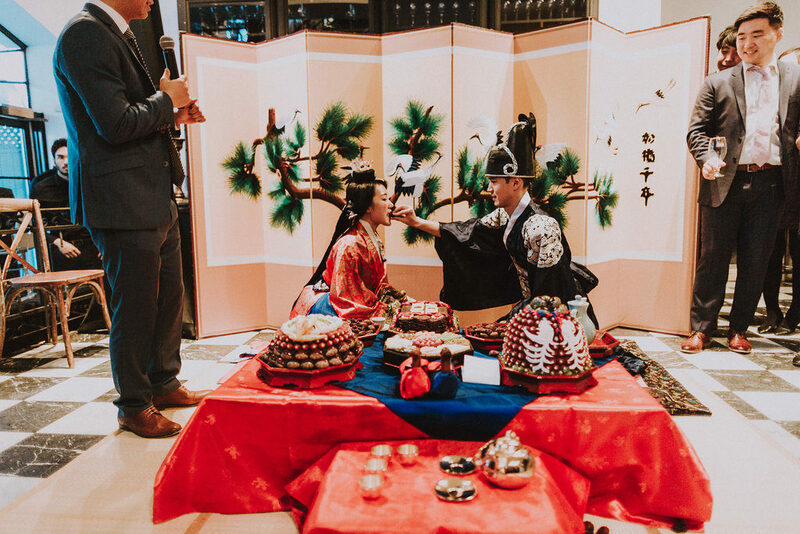 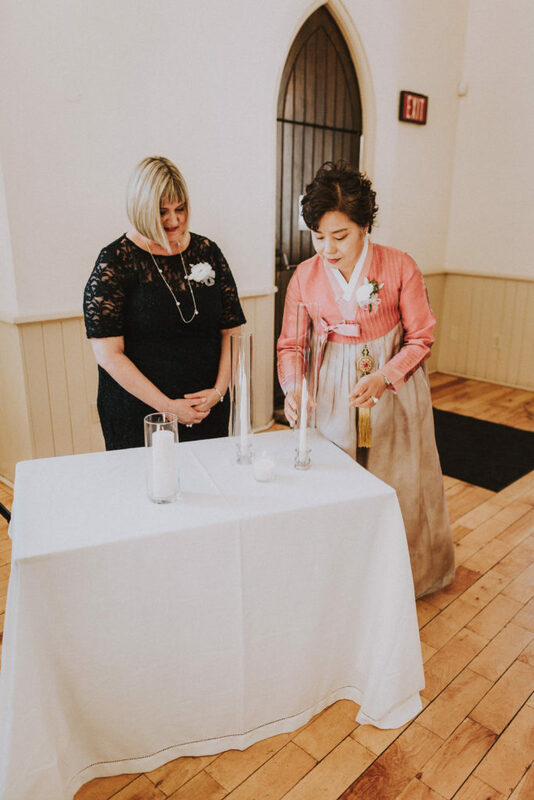 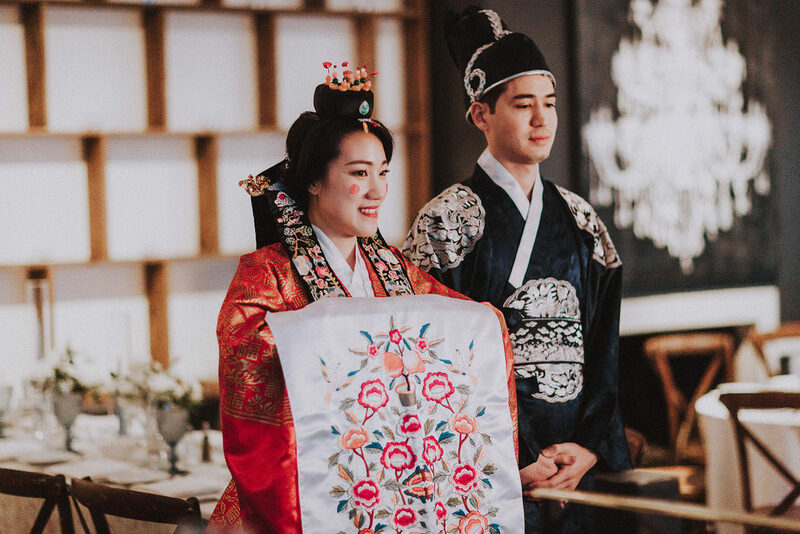 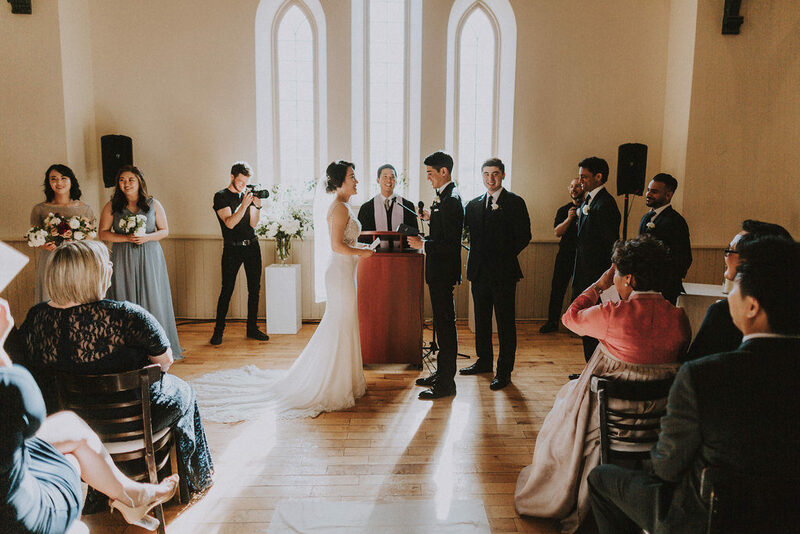 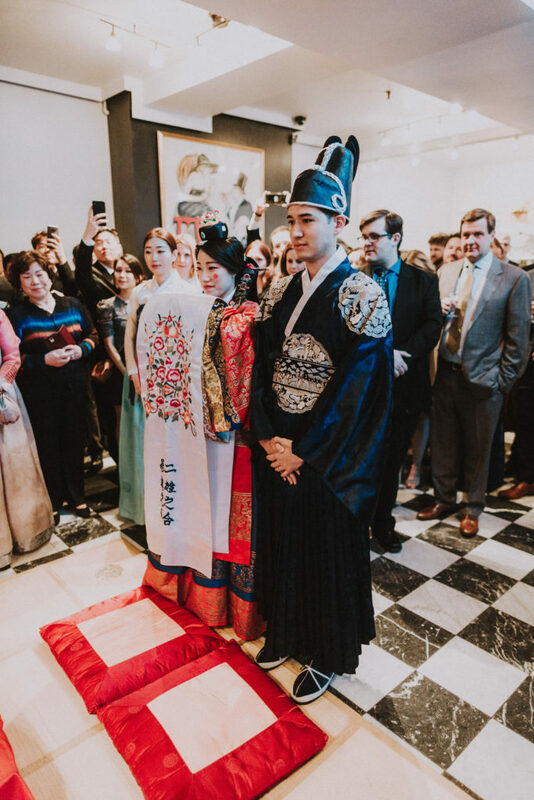 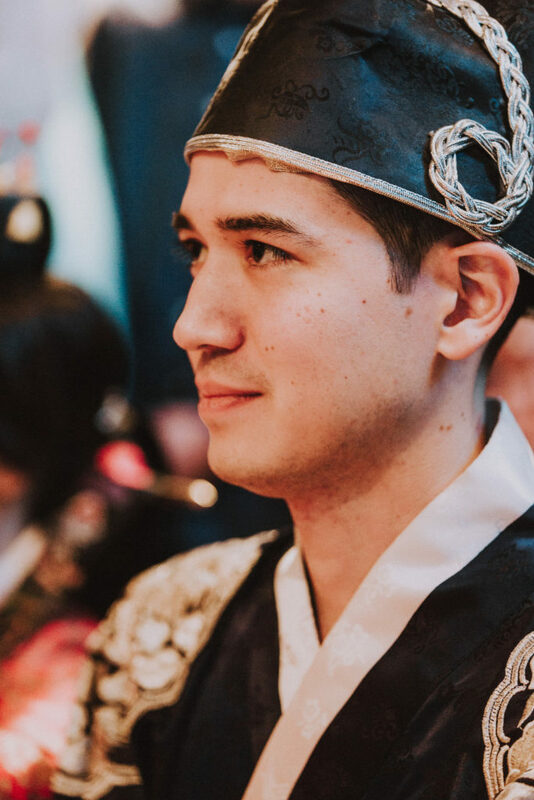 Starting the morning off at the King Edward Hotel, the day moved to the quaint Enoch Turner Schoolhouse for a heartfelt ceremony, followed by a traditional Korean ceremony and reception at La Maquette. 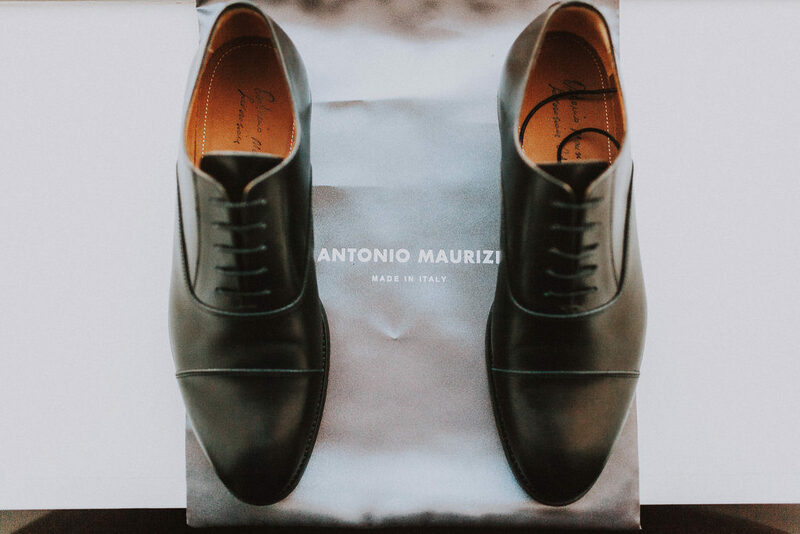 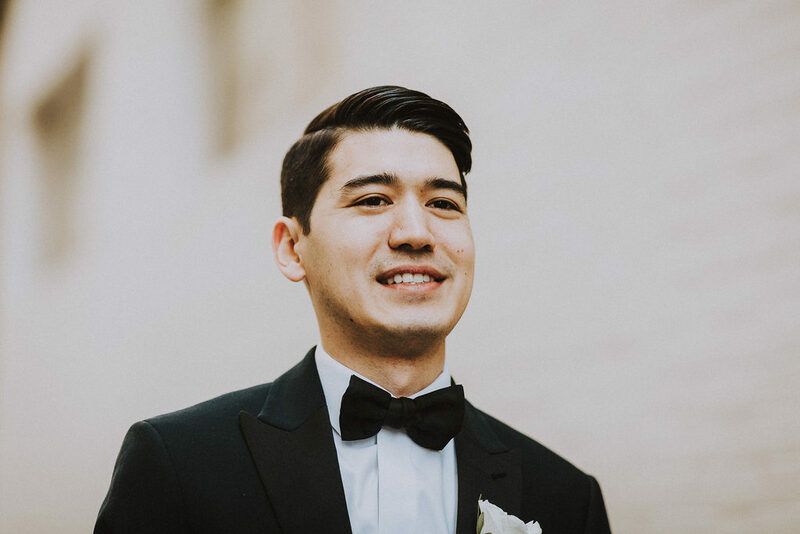 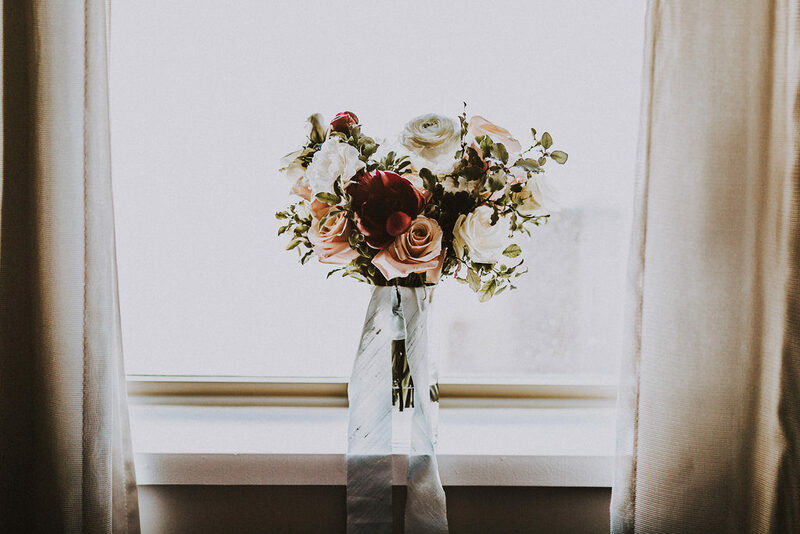 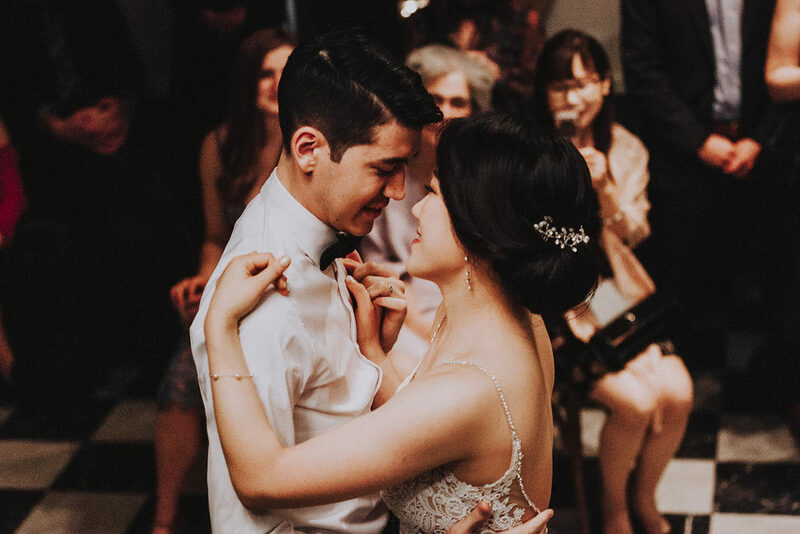 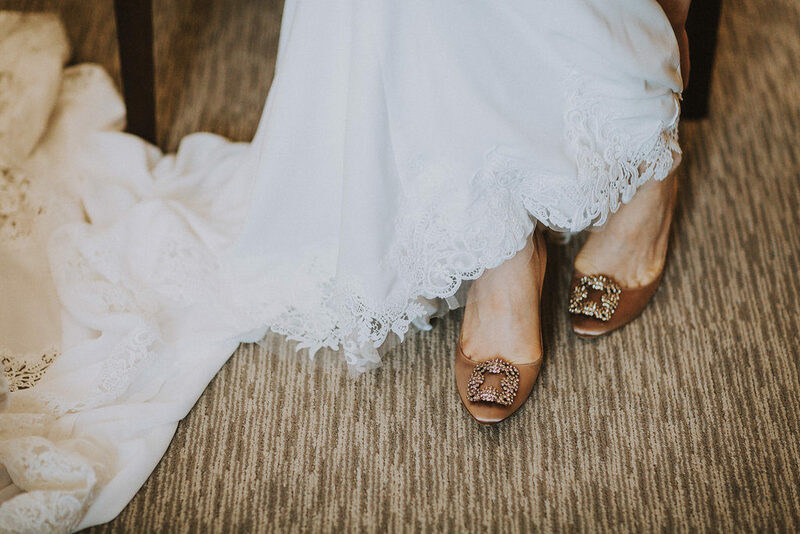 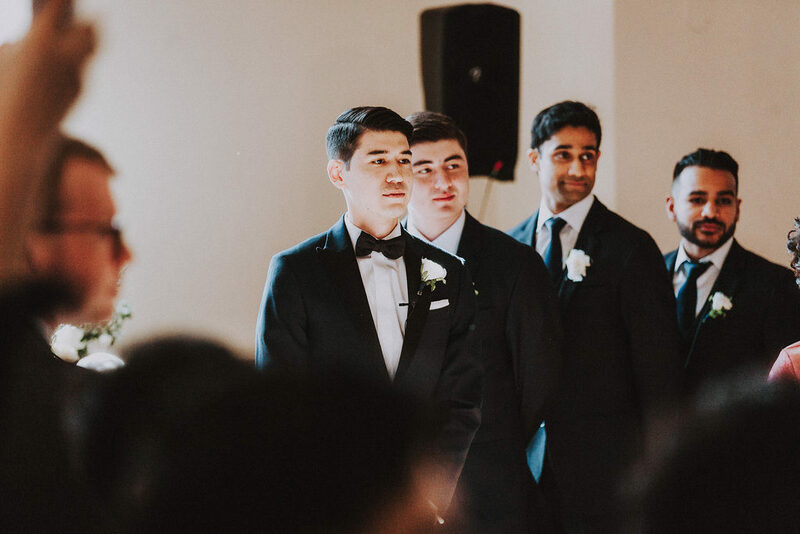 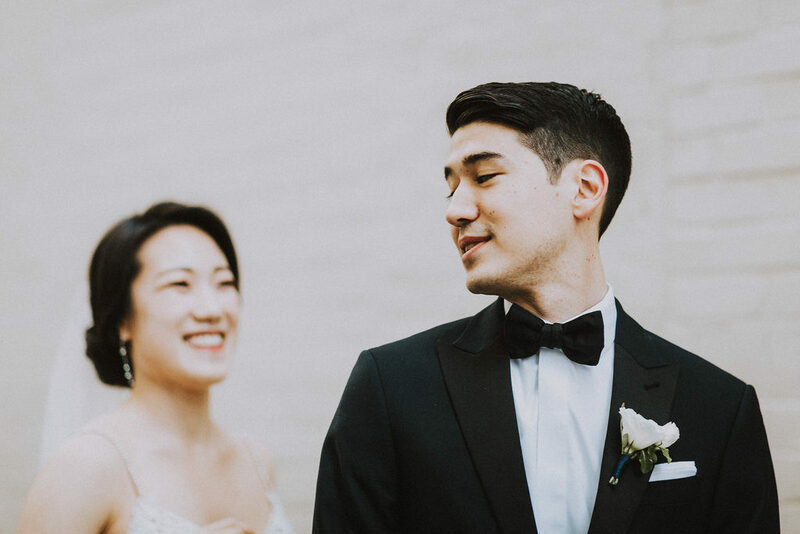 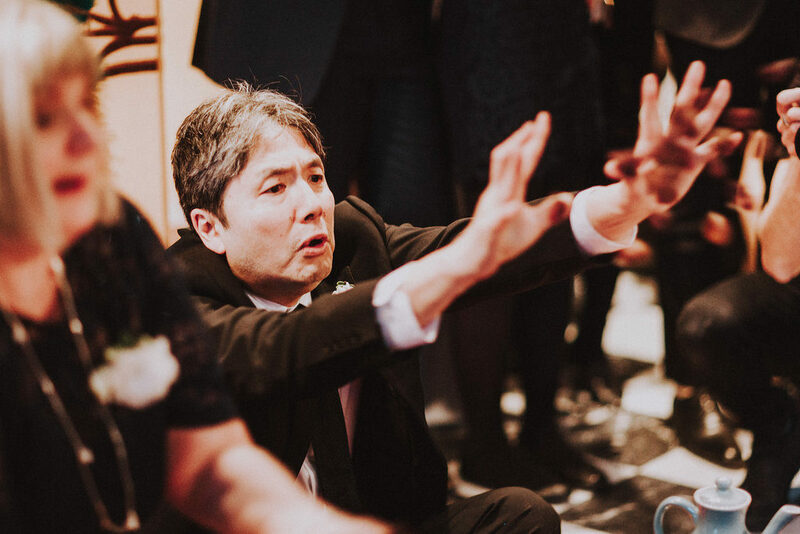 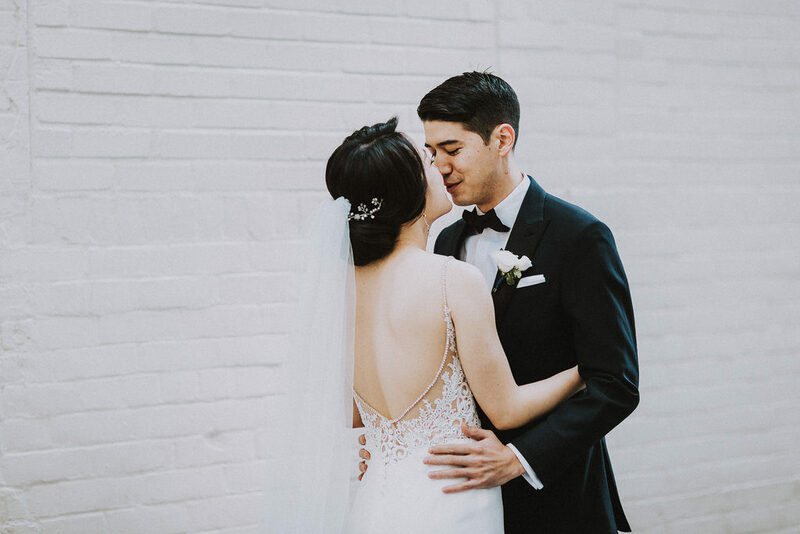 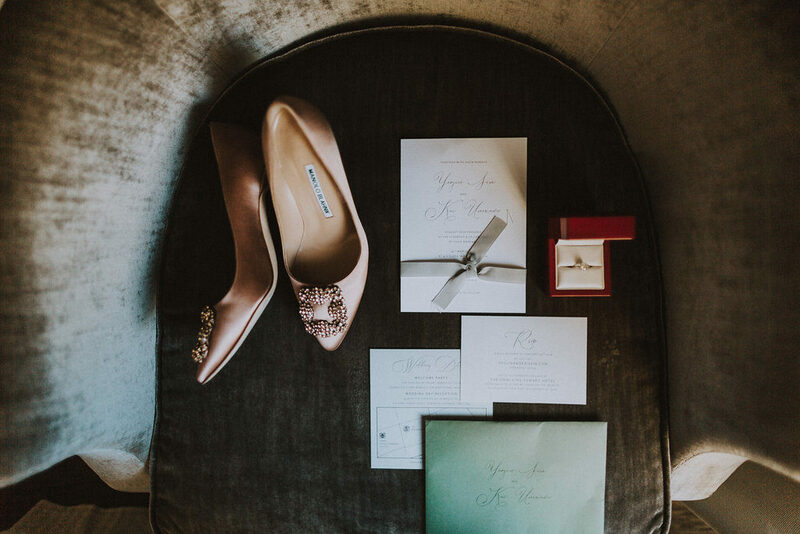 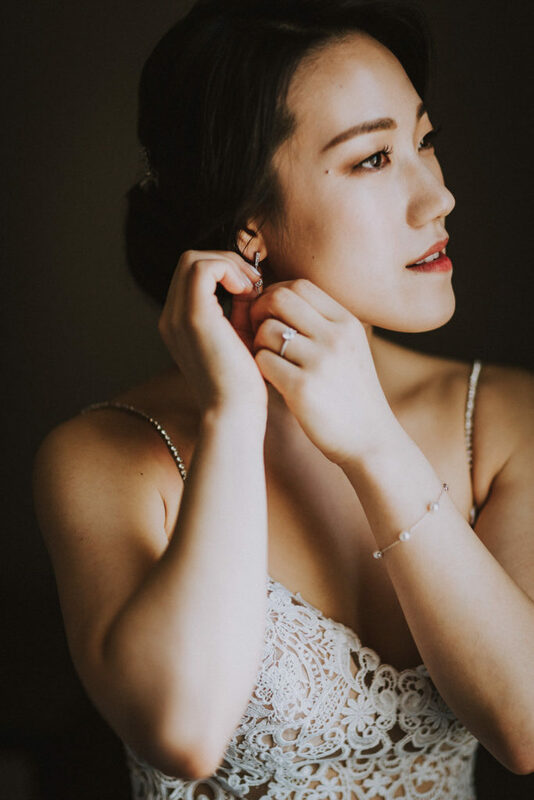 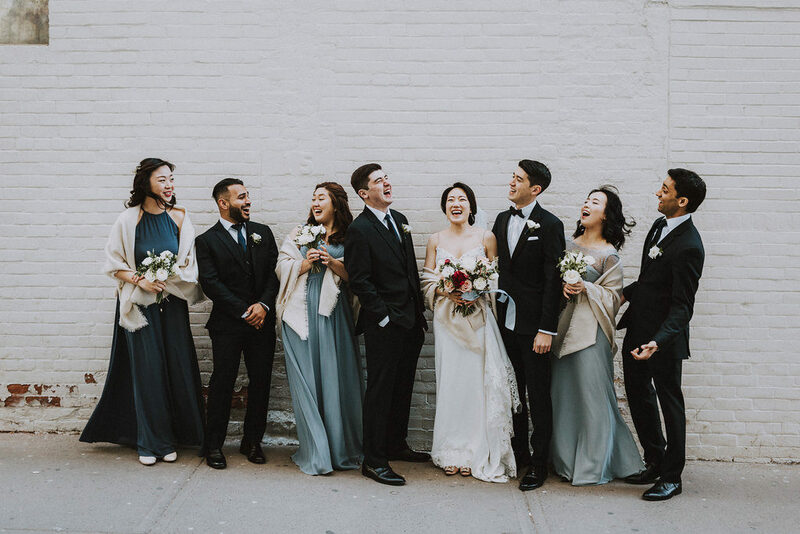 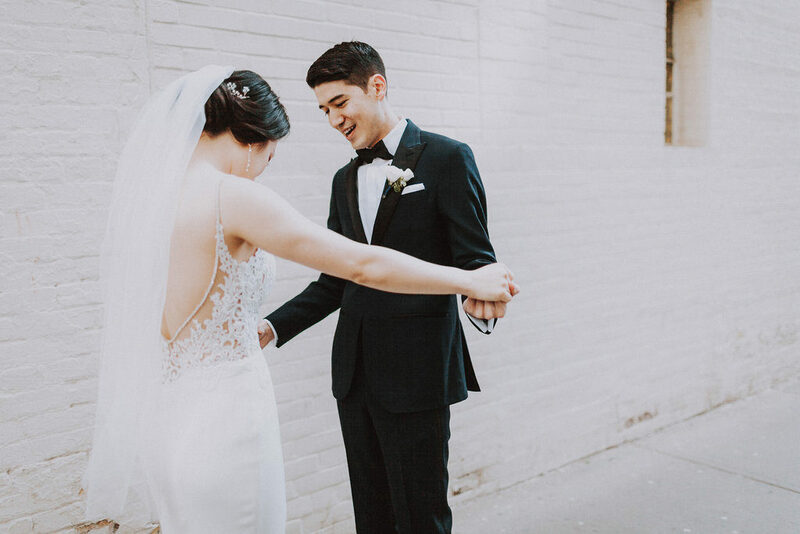 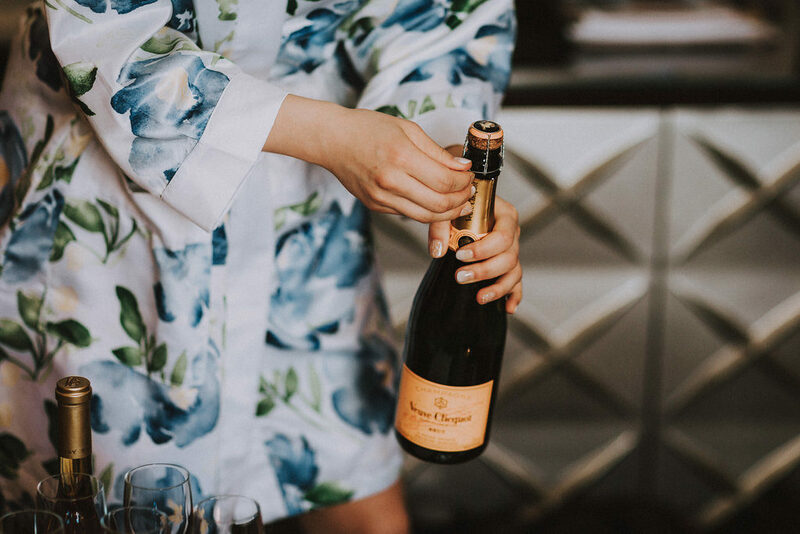 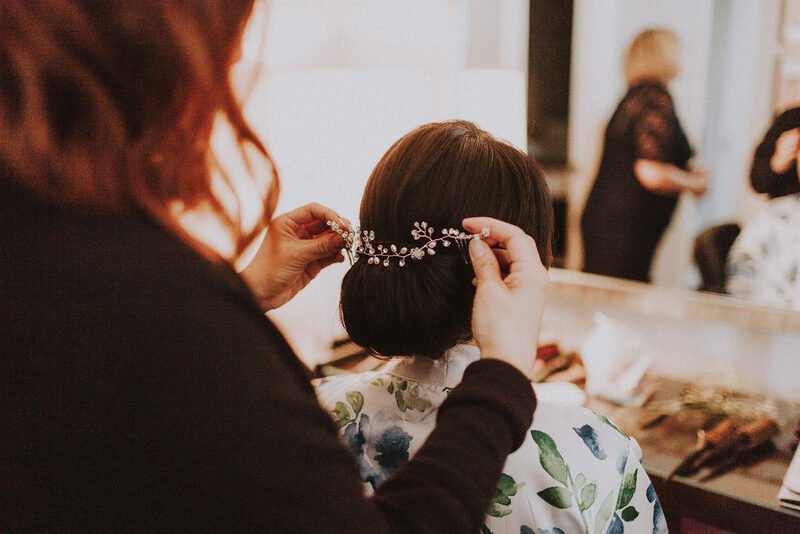 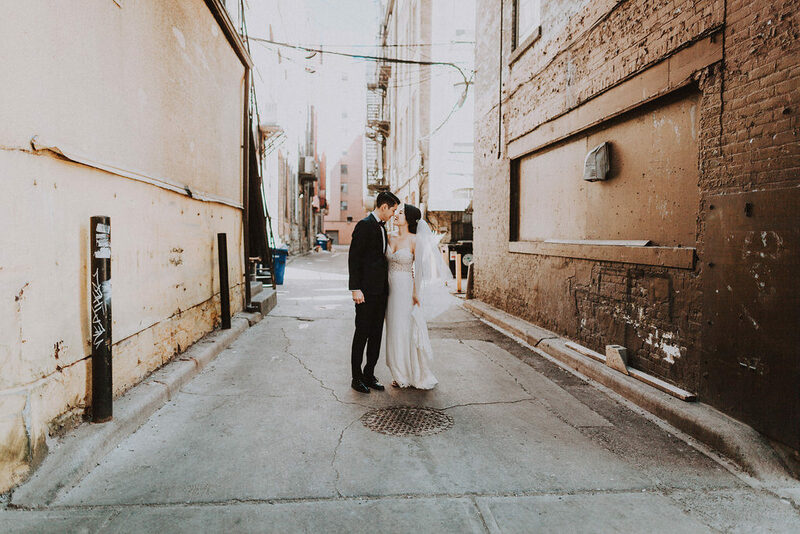 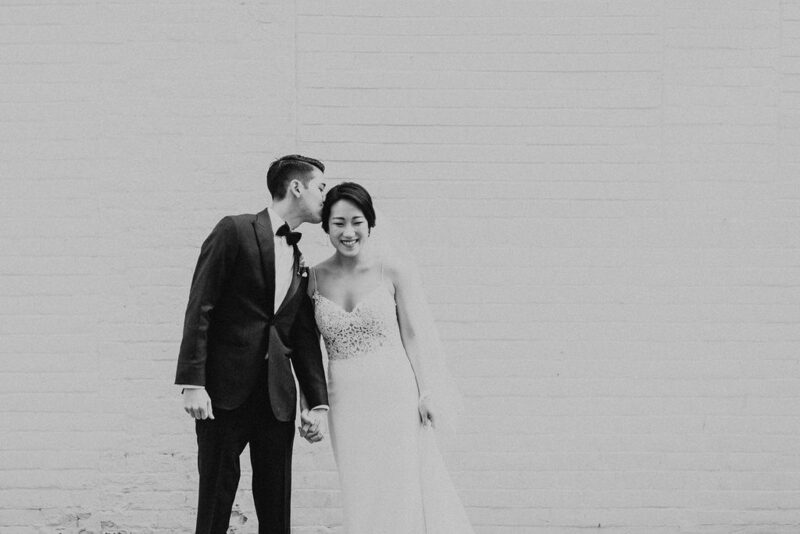 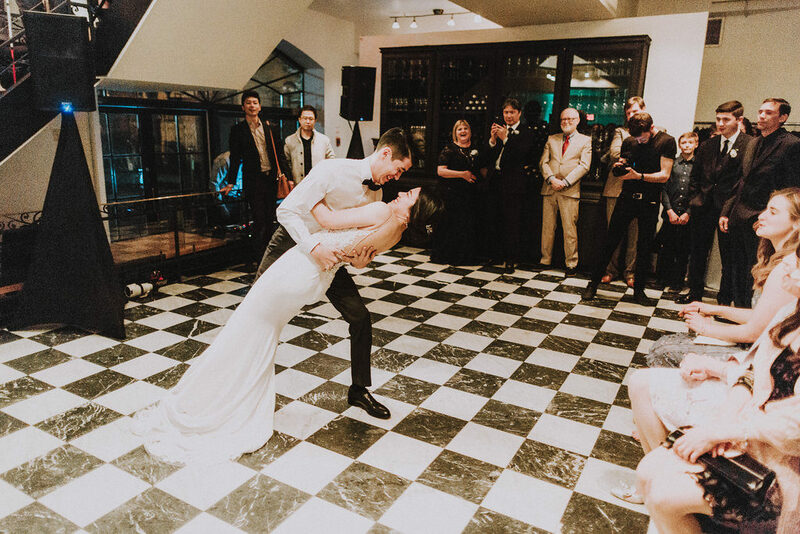 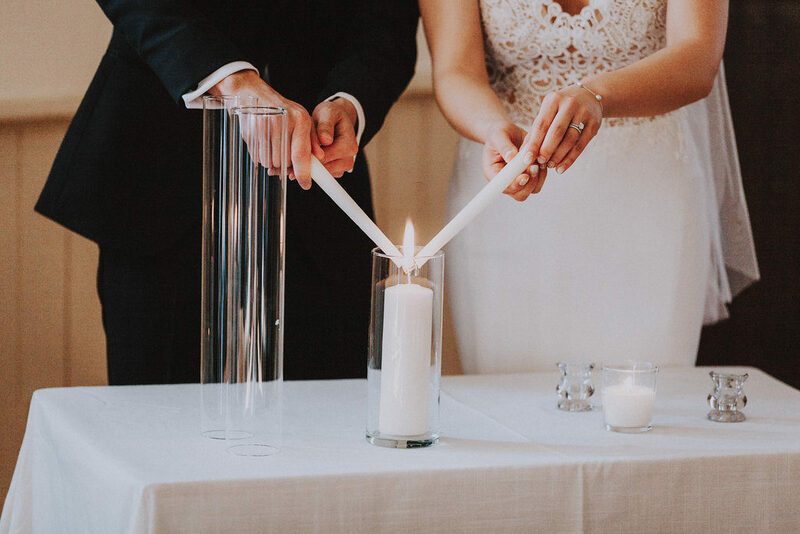 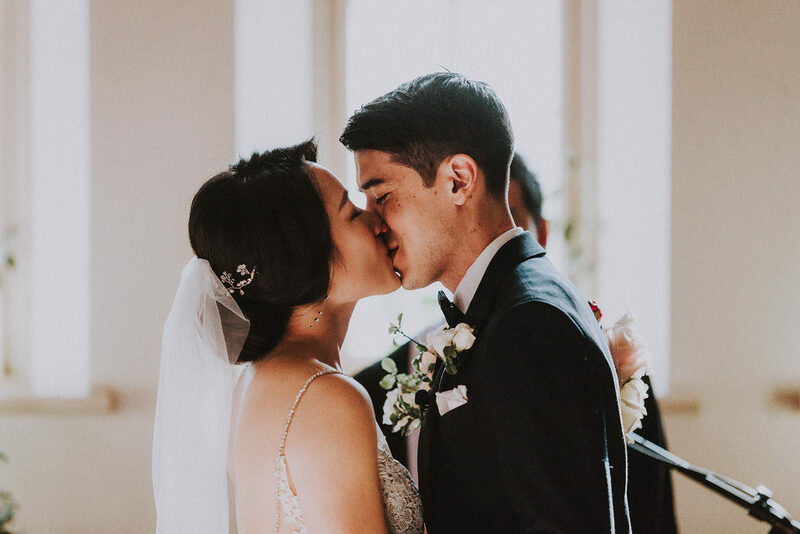 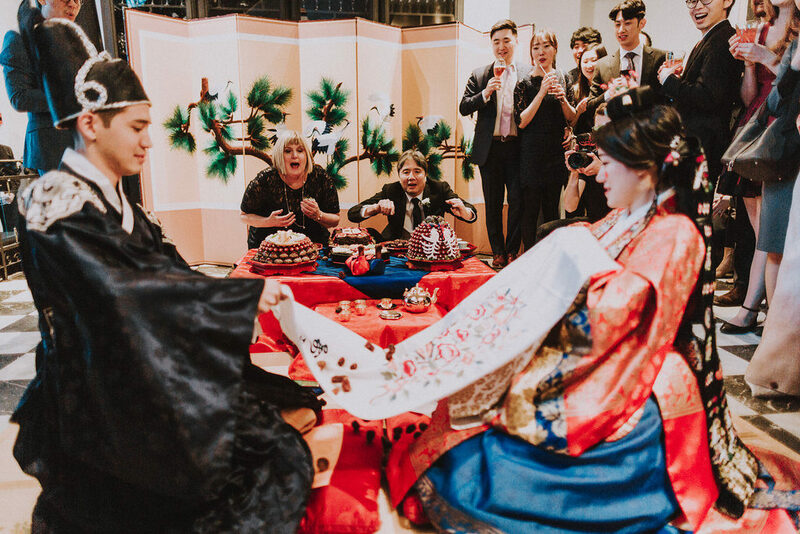 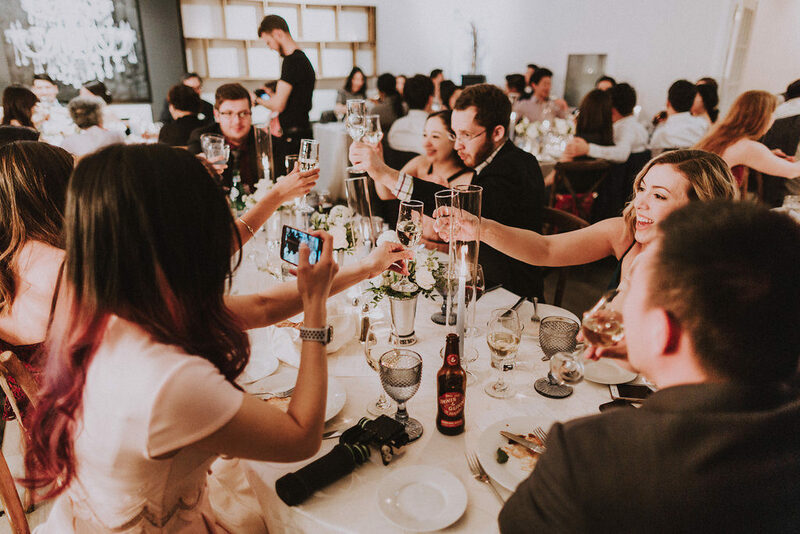 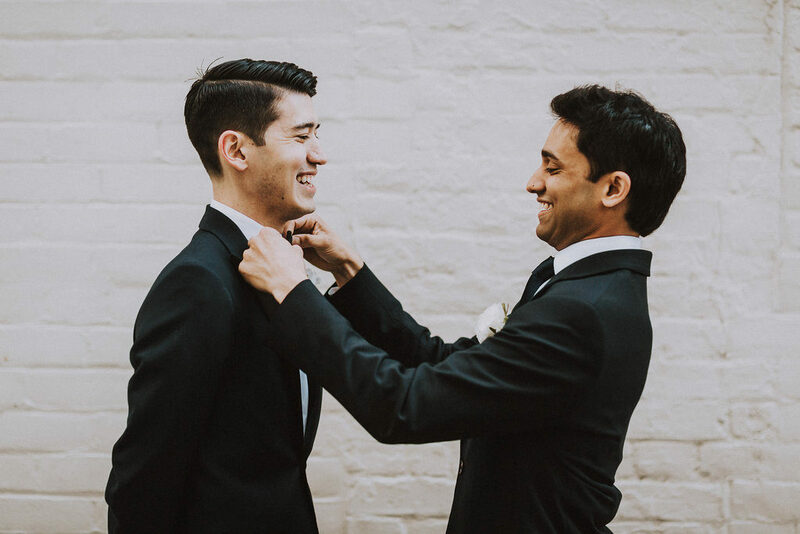 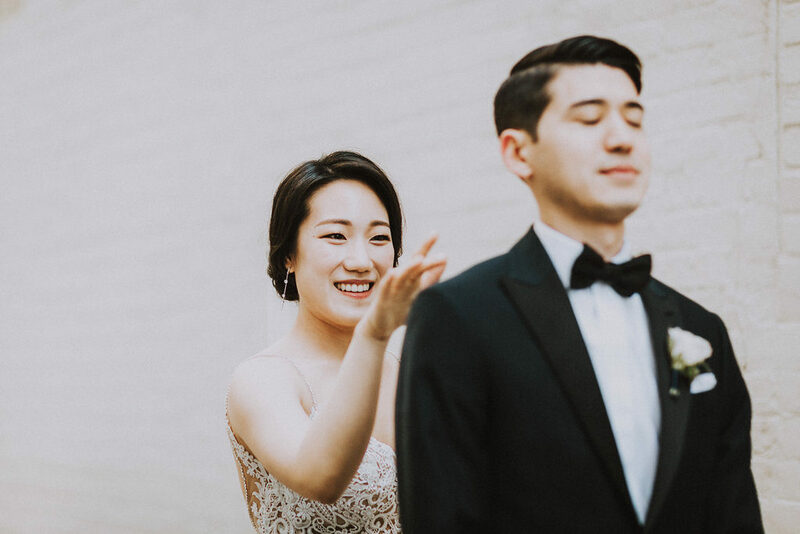 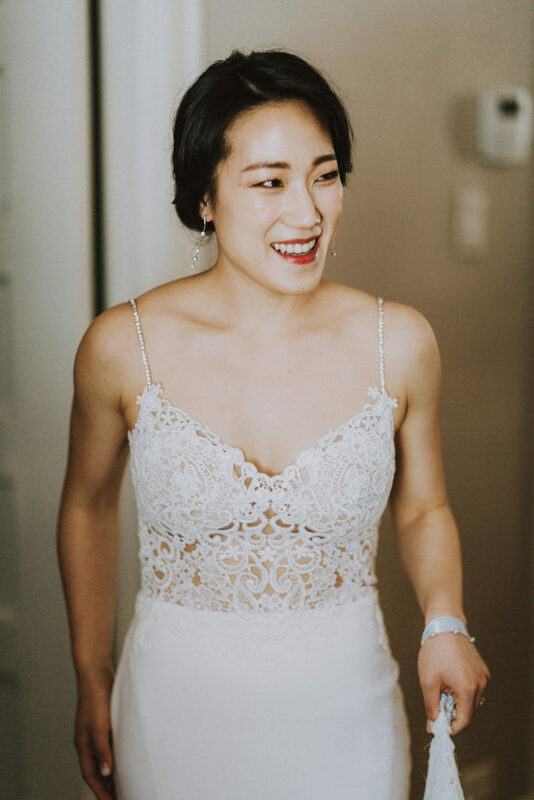 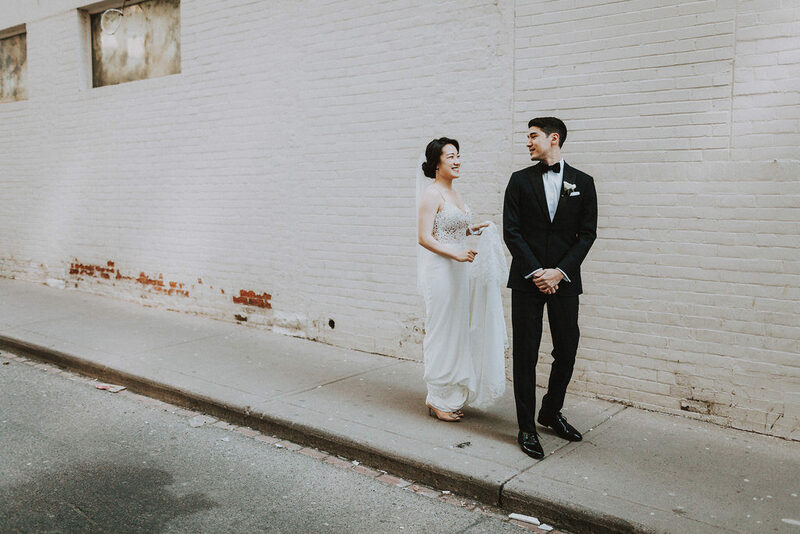 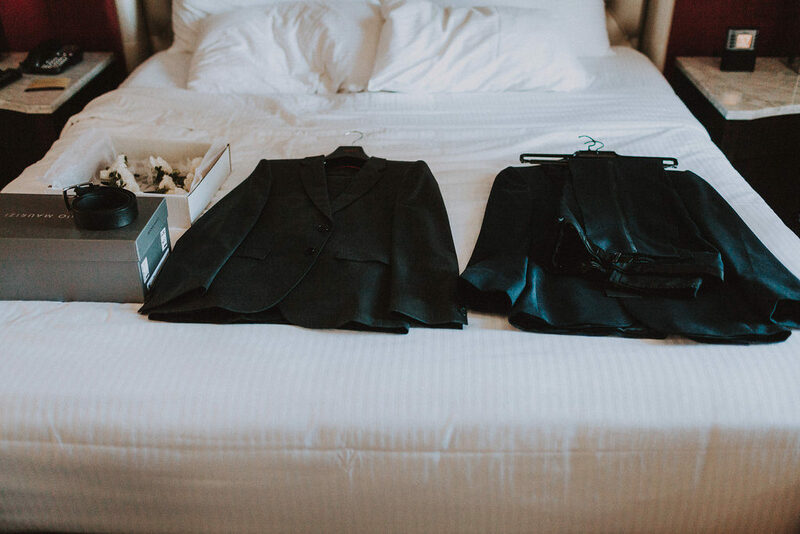 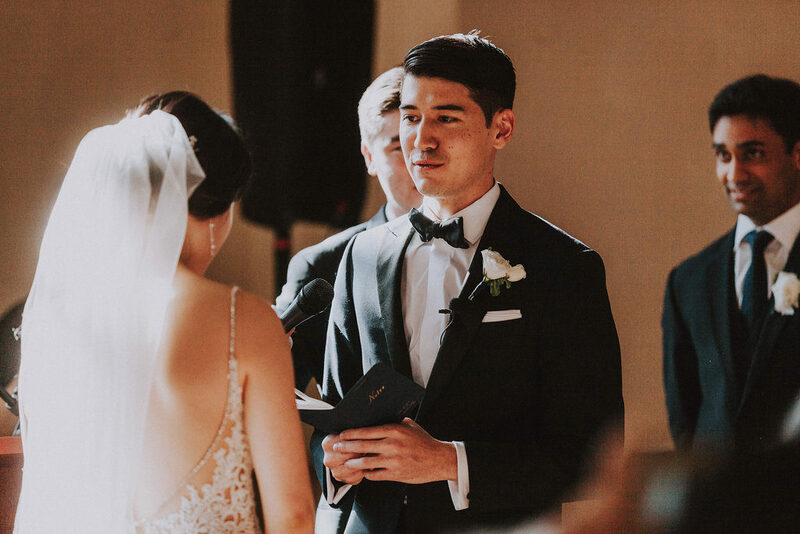 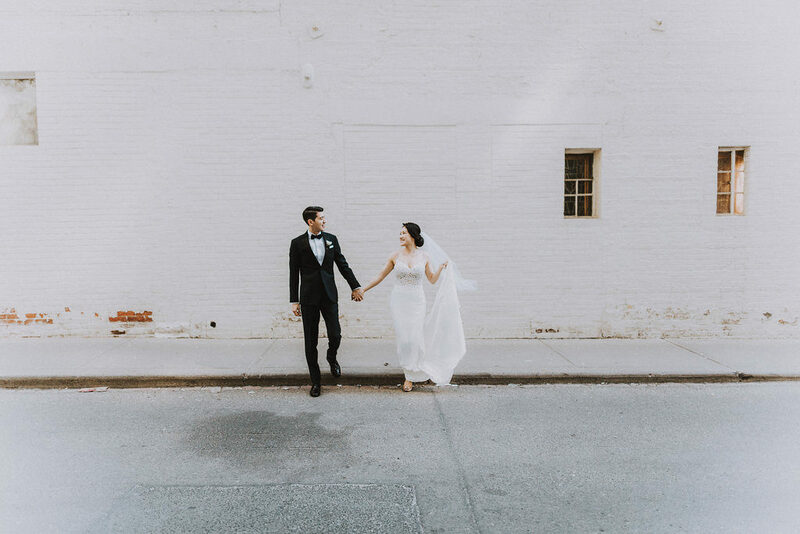 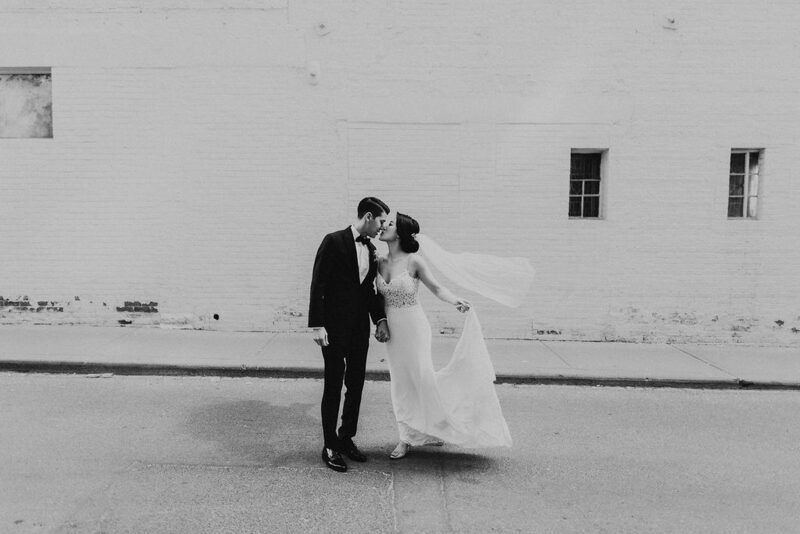 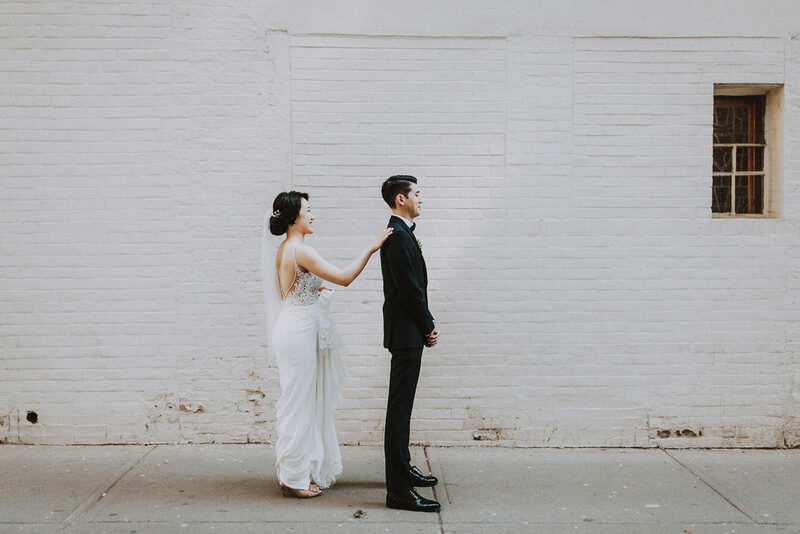 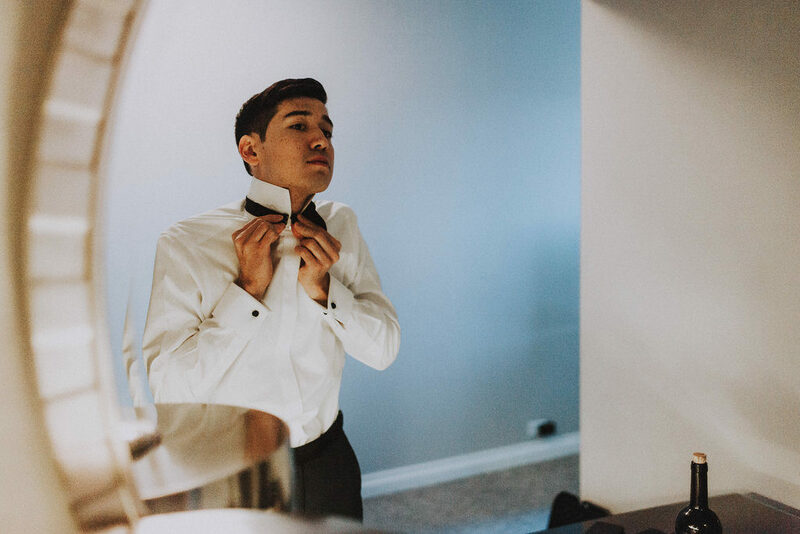 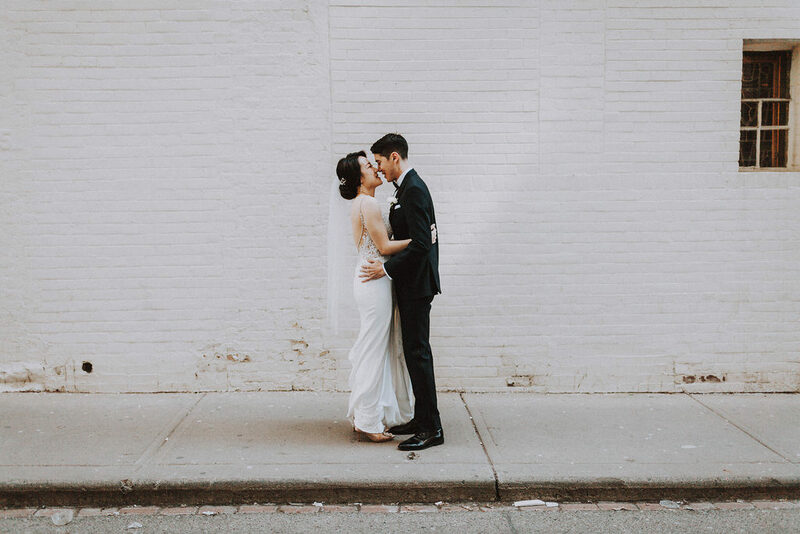 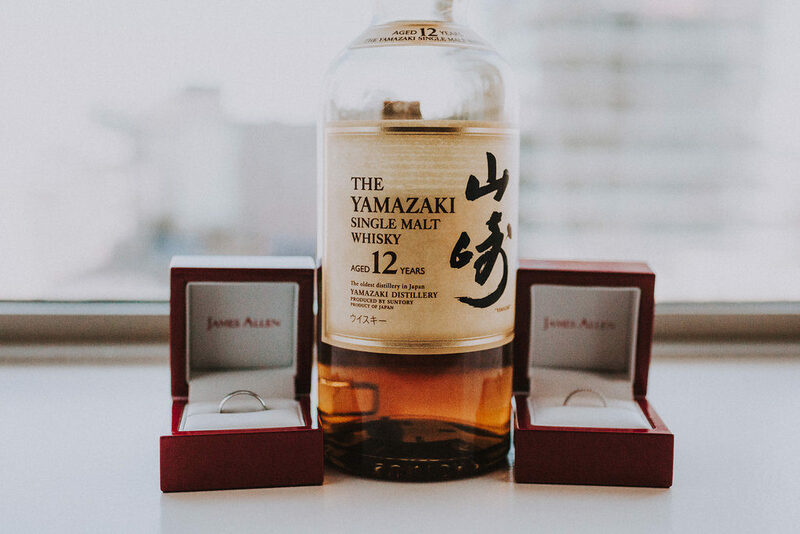 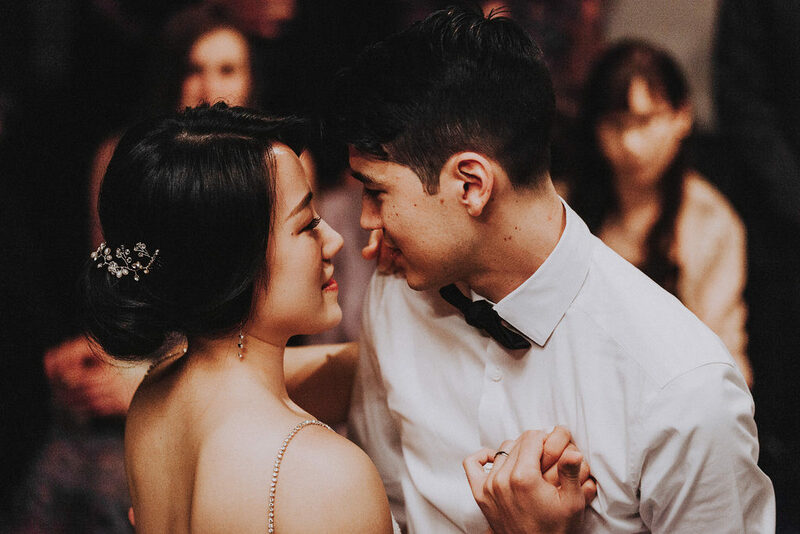 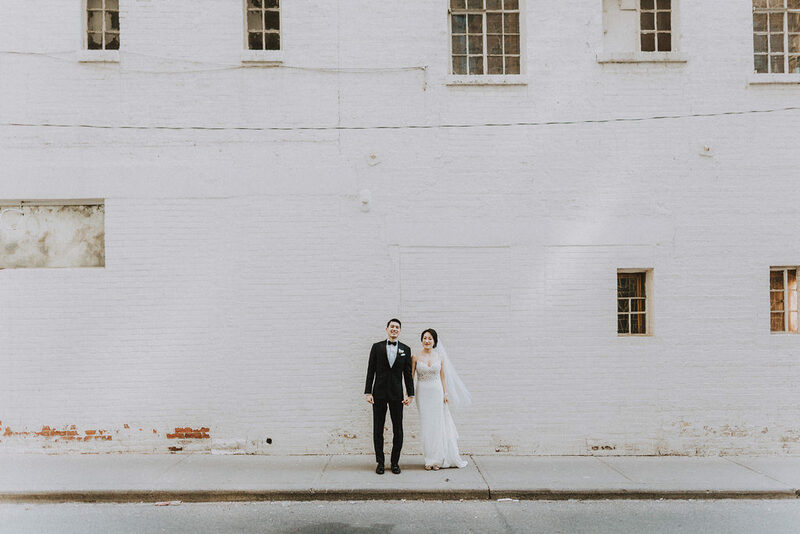 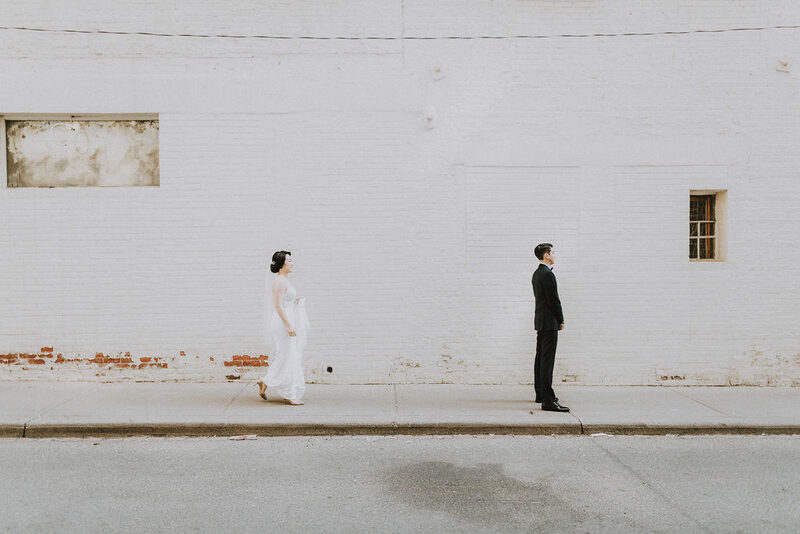 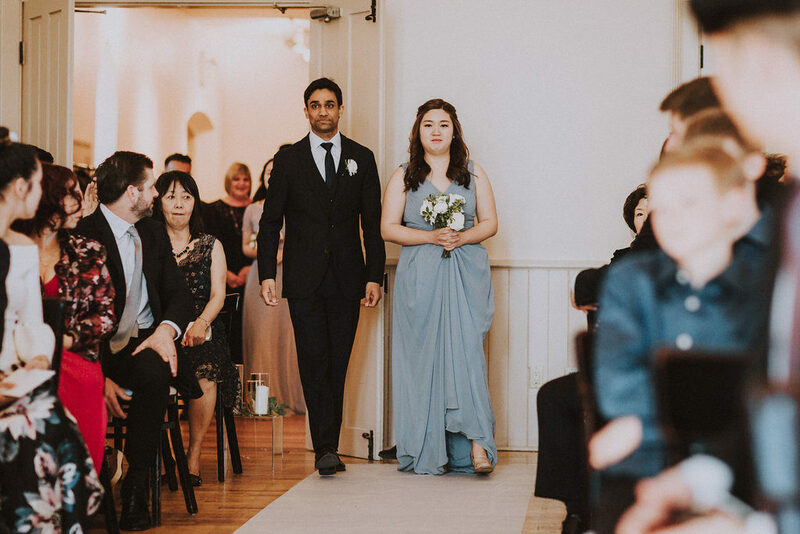 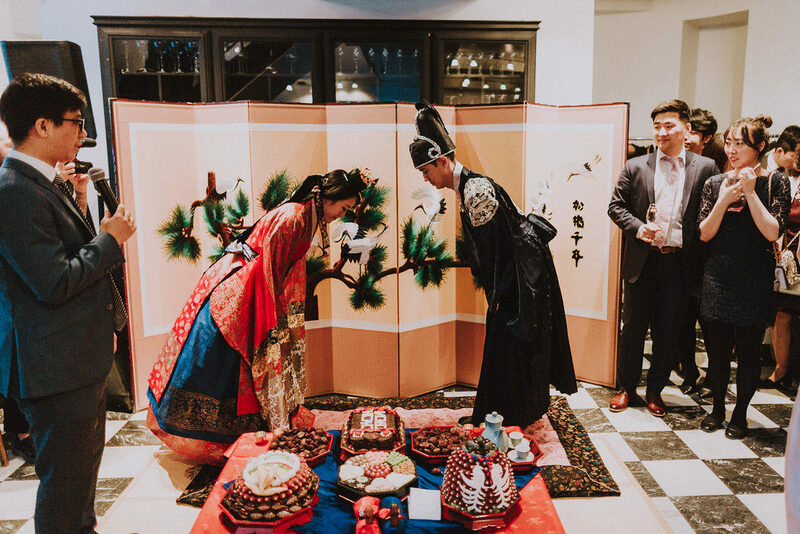 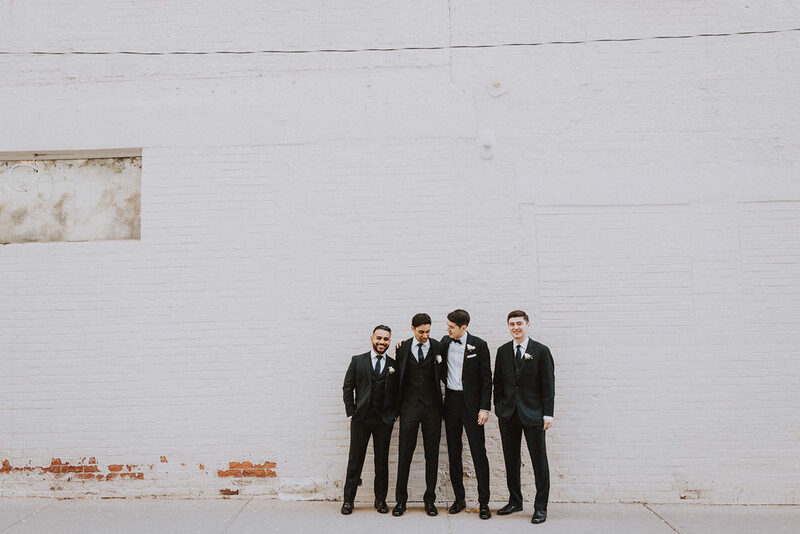 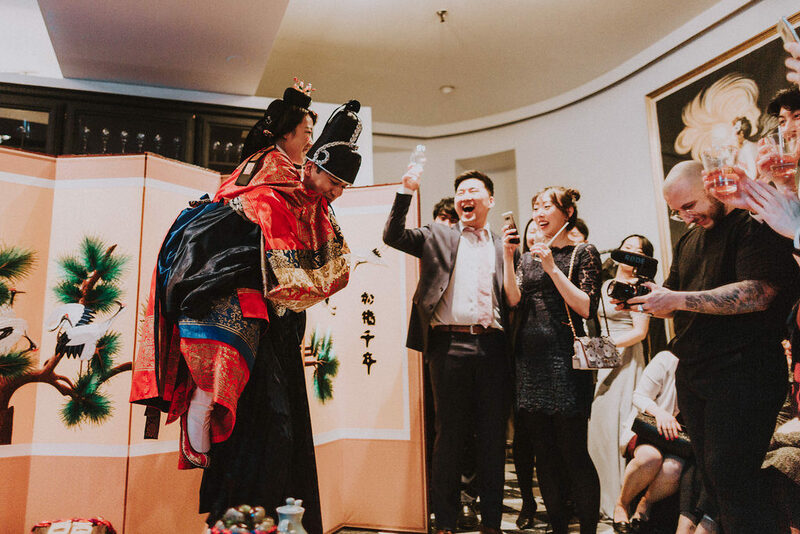 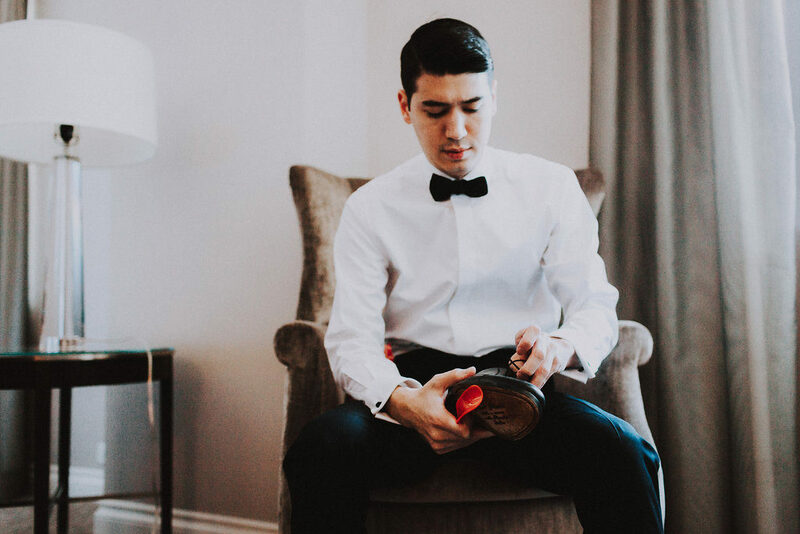 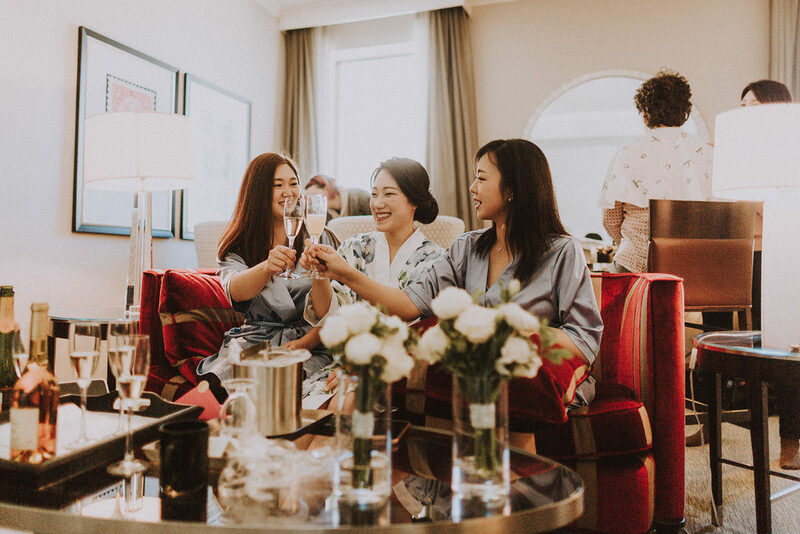 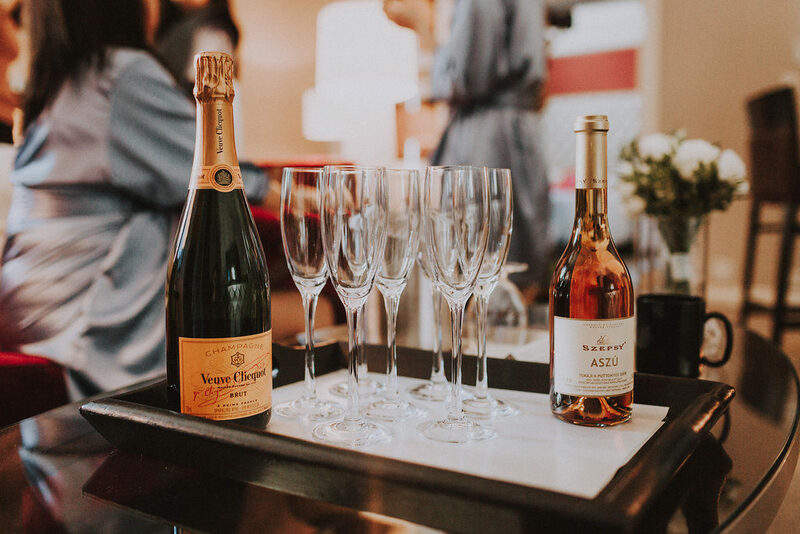 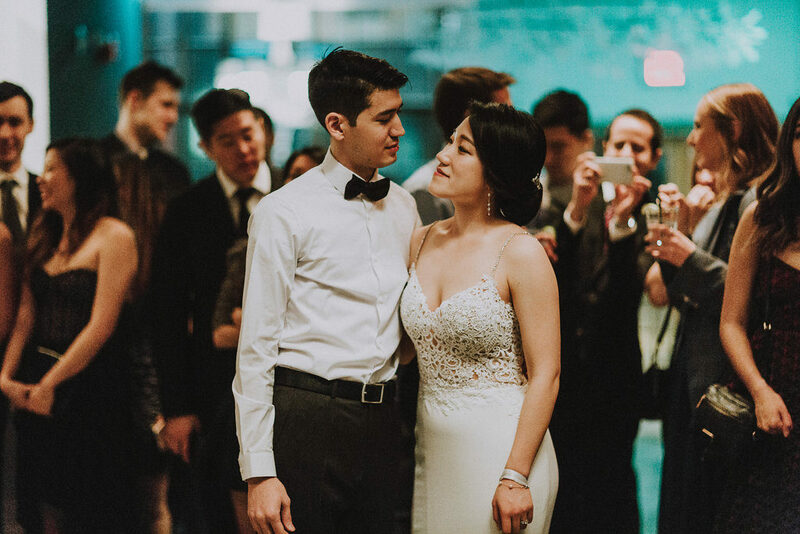 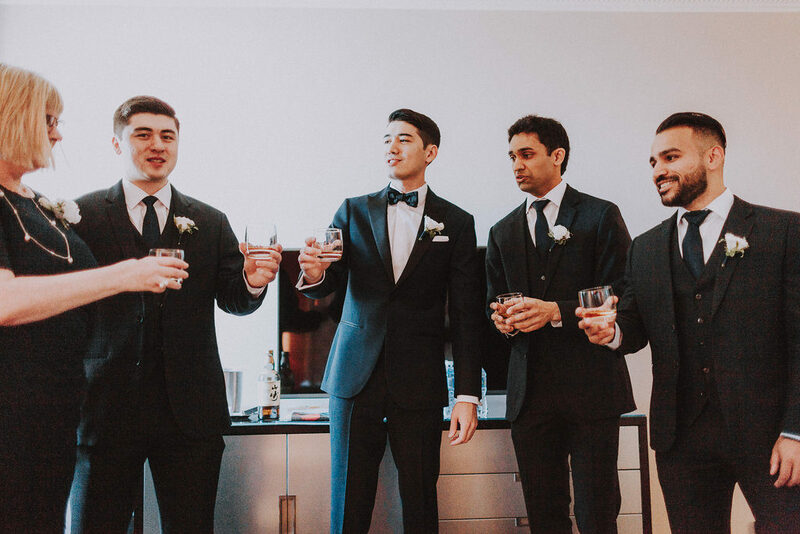 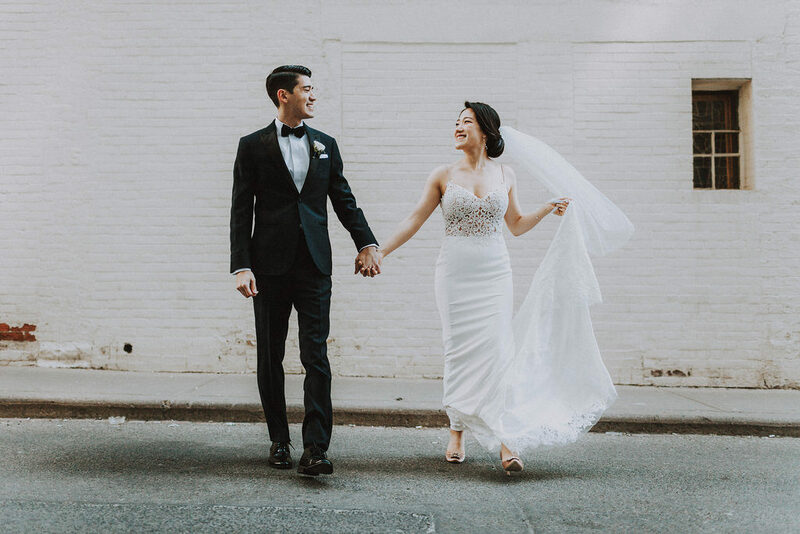 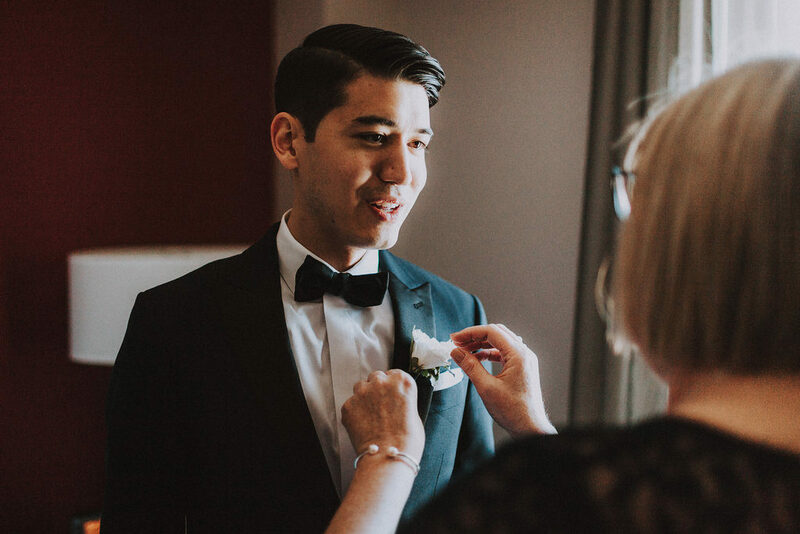 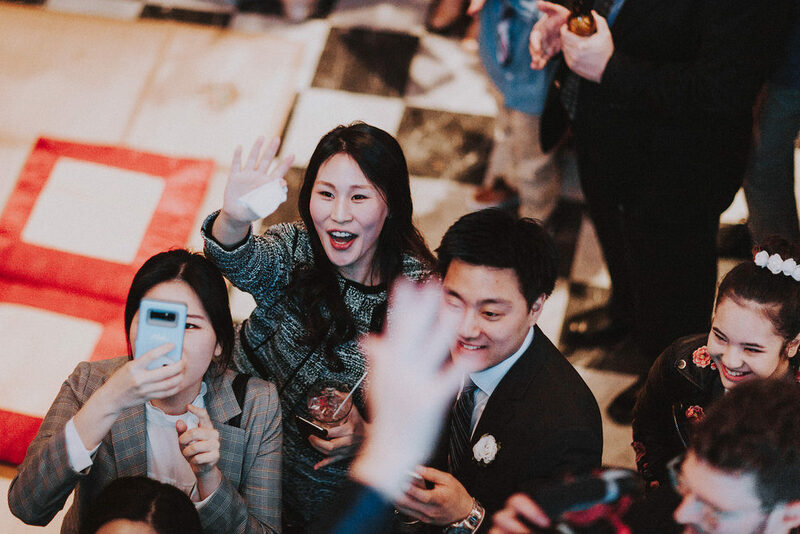 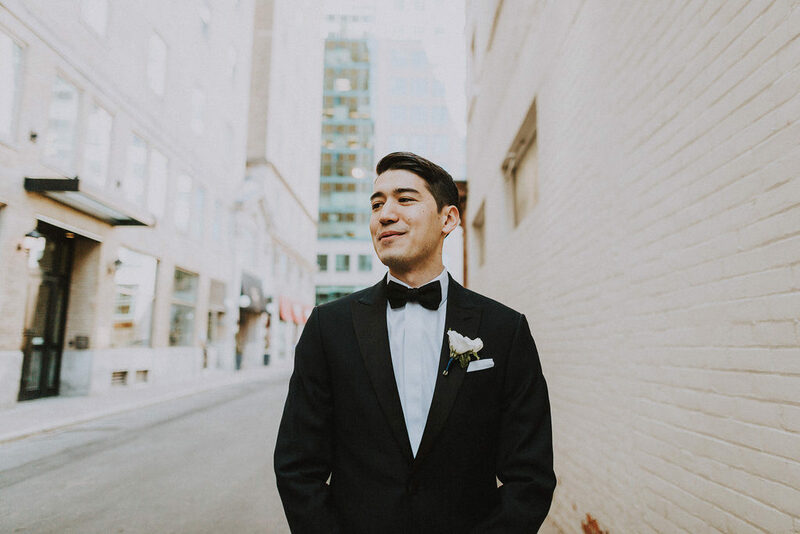 Mario of Avangard Photography captured the celebration, which was also one of the newlywed’s final evenings in Toronto before embarking on their honeymoon in the Maldives and beginning their new life together in San Francisco.